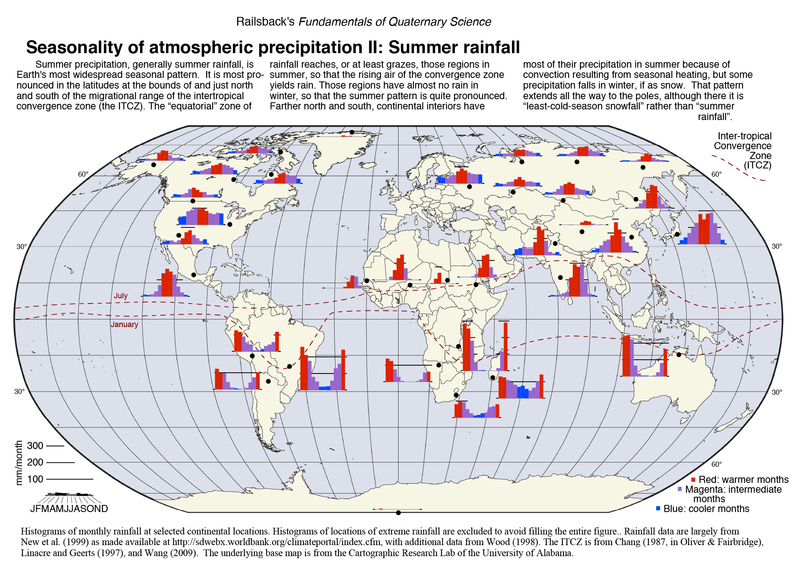 This website was previously available at http://www.gly.uga.edu/railsback/FQS/FQS.html . 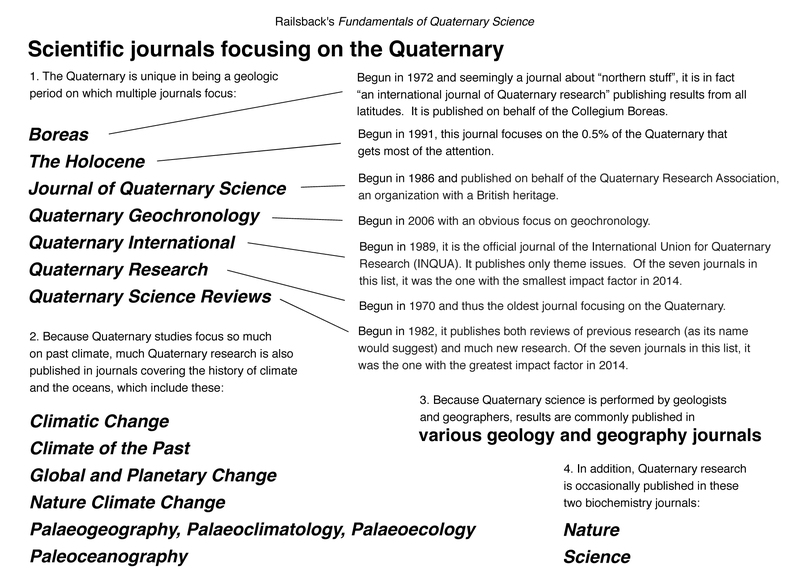 Any contributions will support research by University of Georgia students. 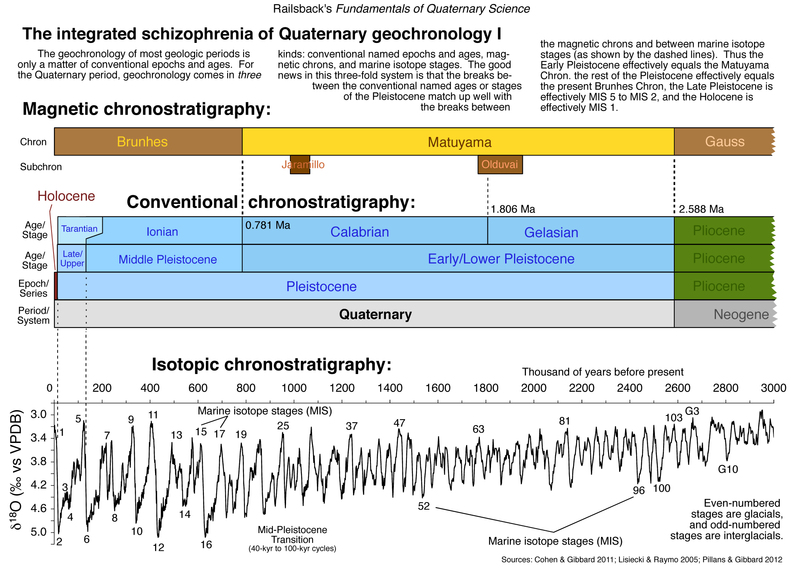 © 2017 L. Bruce Railsback, Department of Geology, University of Georgia, Athens, Georgia 30602-2501 U.S.A. 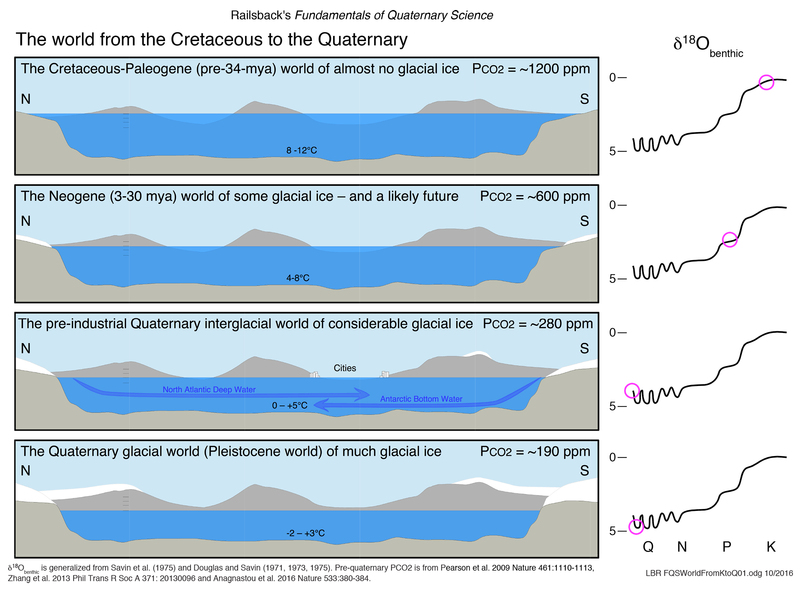 This website makes available some one-page illustrations of topics in Quaternary Science. 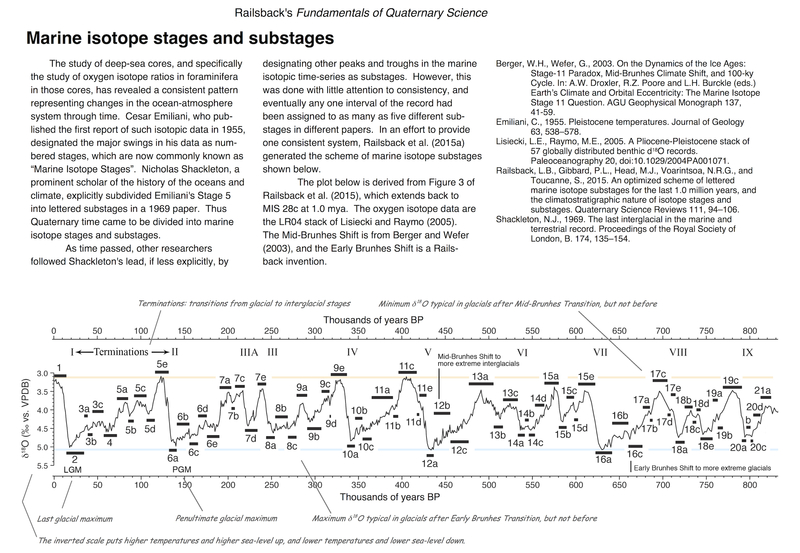 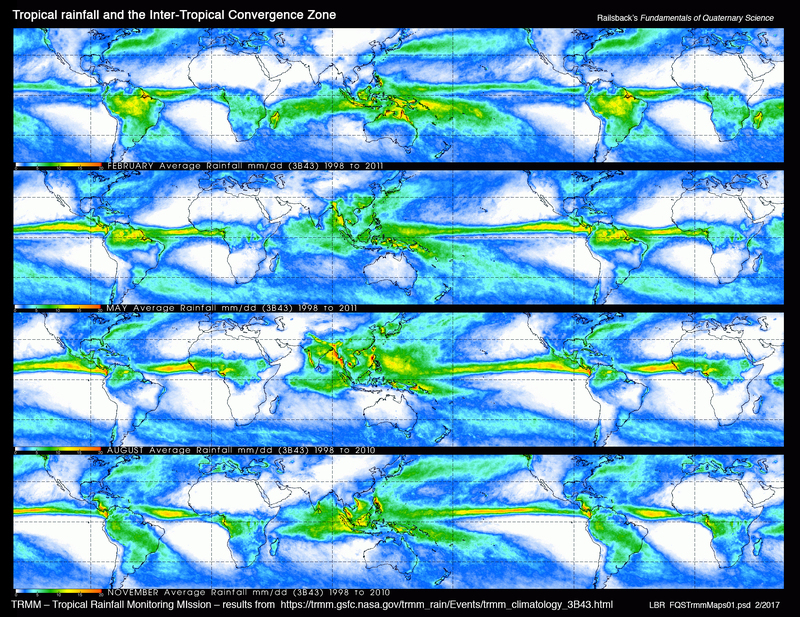 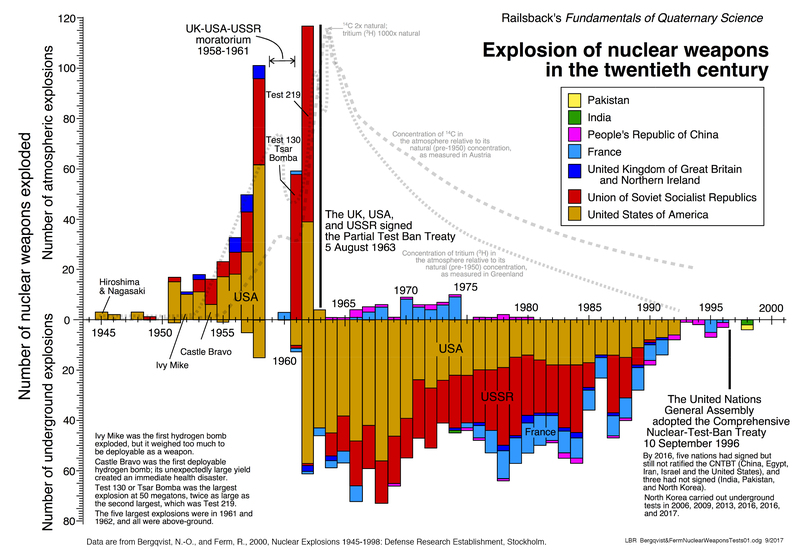 They are formatted for use in lectures and presentations or as course handouts. 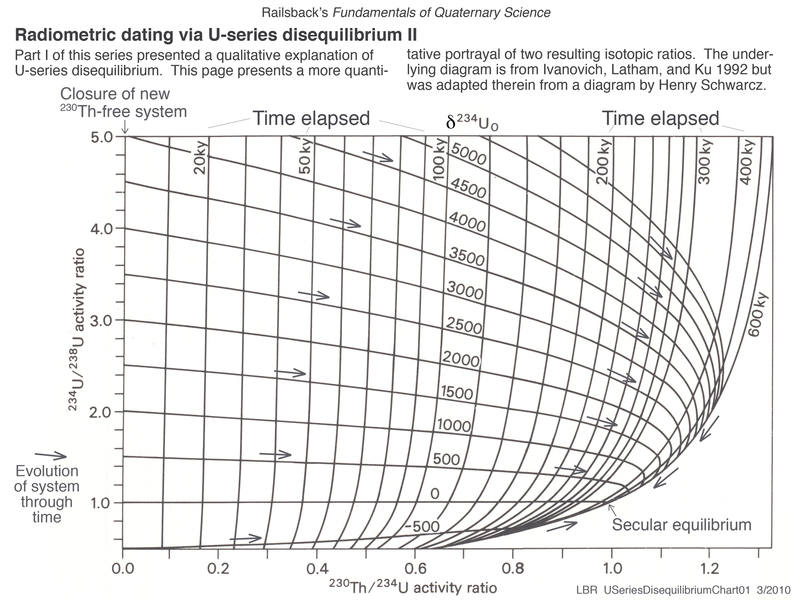 They are in no way substitute for a textbook, because no attempt is made at a complete treatment of all topics. 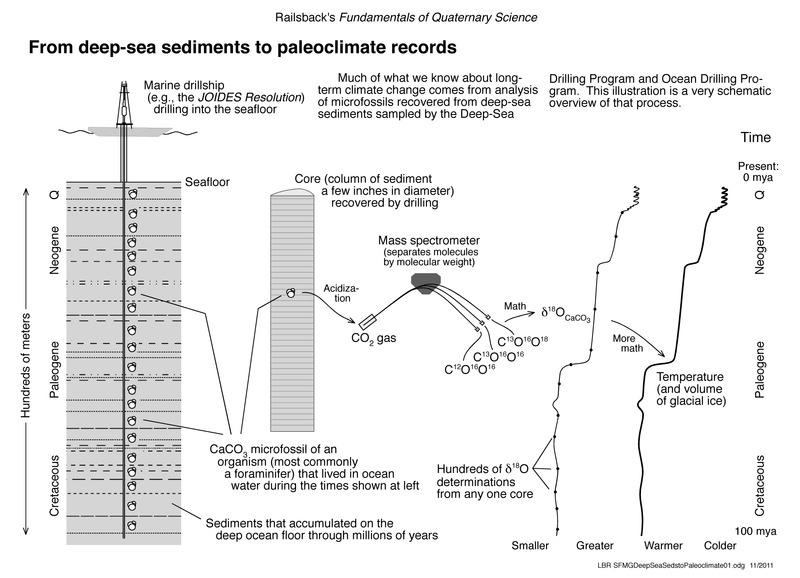 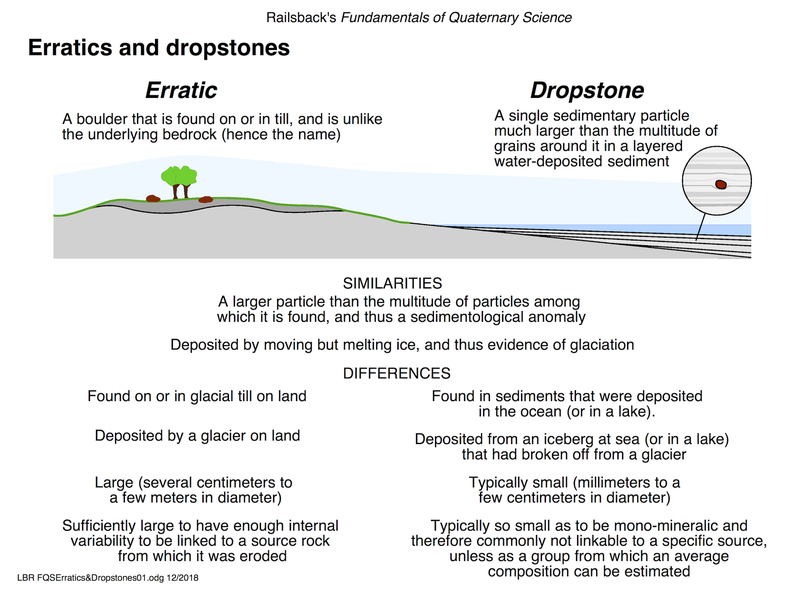 Many of the illustrations are taken directly from Railsback's Some Fundamentals of Mineralogy and Geochemistry. 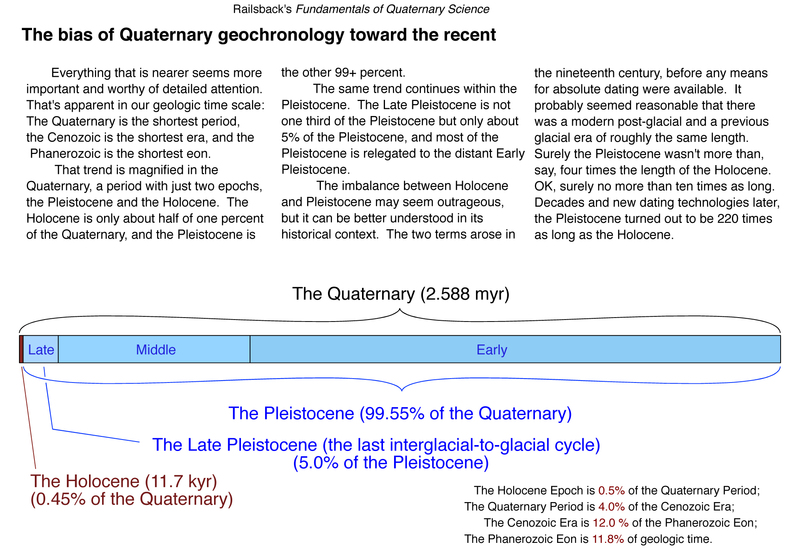 The pages are available here independently in pdf and jpeg formats. 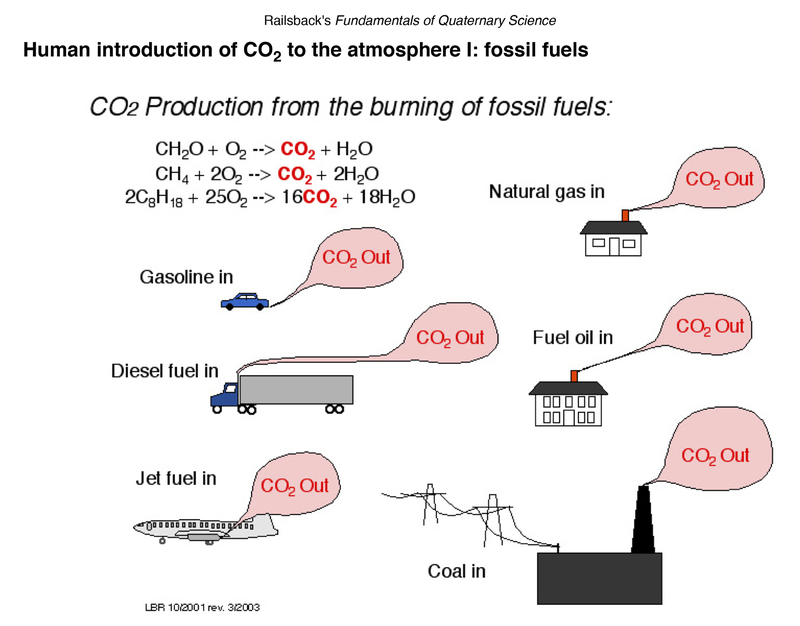 Users of these illustrations in Powerpoint lectures to students are reminded that some of the illustrations carry a lot of information. 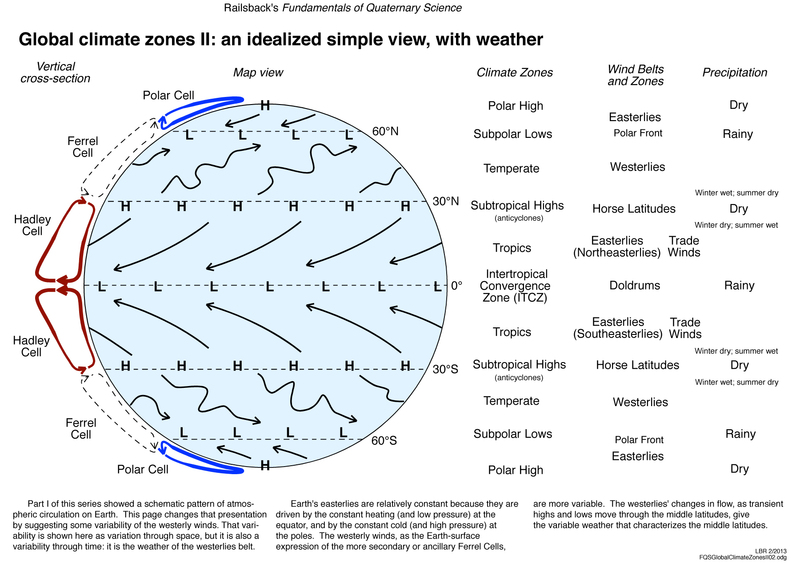 Users can customize their lectures by using Powerpoint's "basic shapes" tools to add filled rectangles that conceal a part or parts of any given illustration. 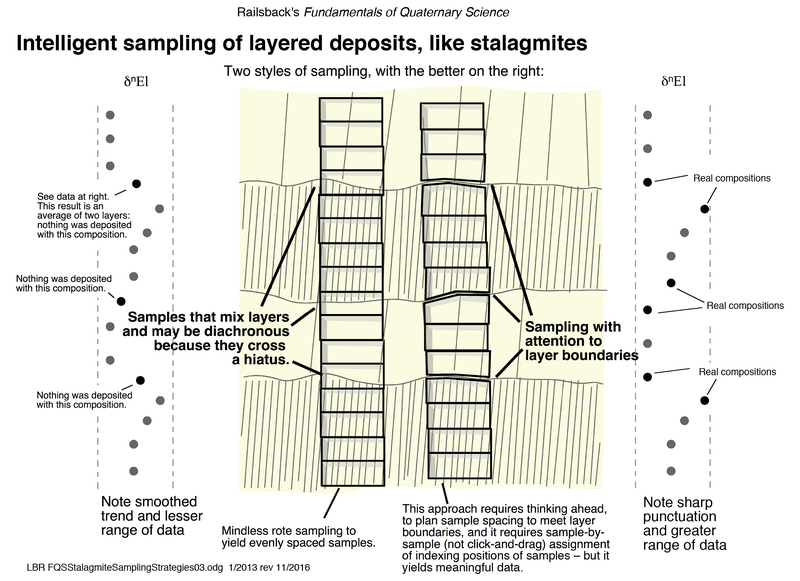 Removal or reduction of the rectangles can then unveil more of that illustration in successive Powerpoint "slides". 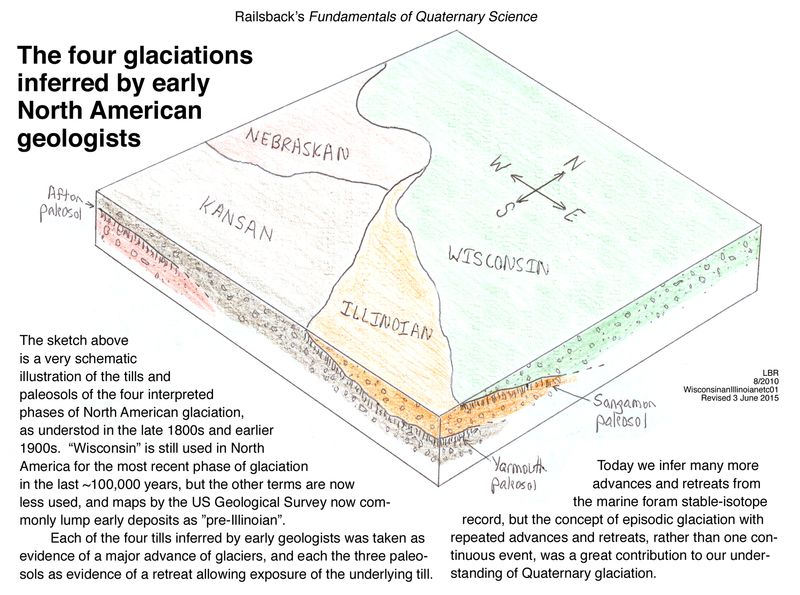 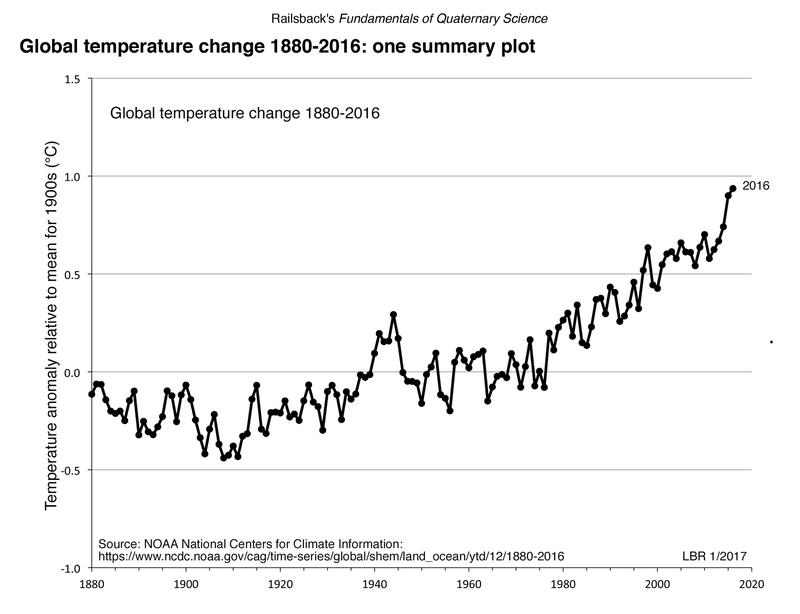 Educators are welcome to use these documents in their lectures and presentations; a message to Railsback reporting such use would be appreciated. 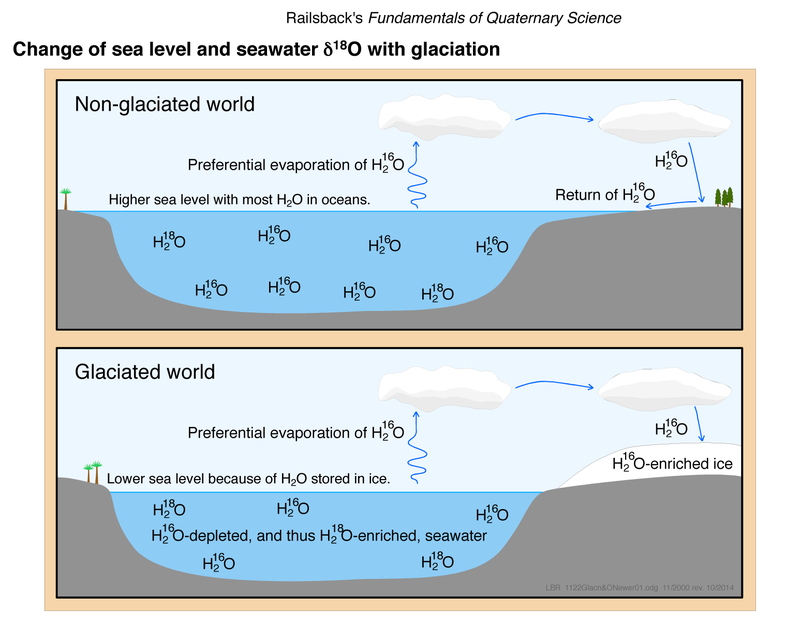 Permission from Railsback is required for use in publications, Web-based documents, or other non-classroom use. 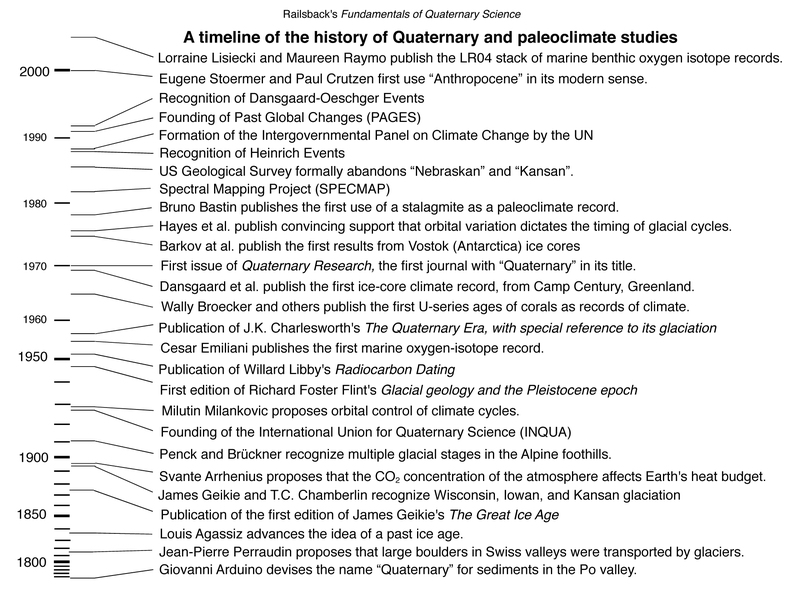 The most recent additions occurred on 07 December 2018. 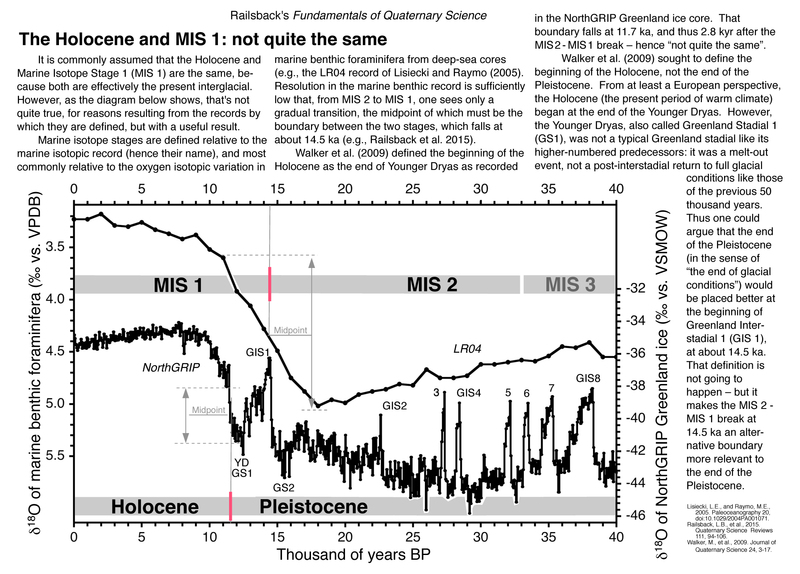 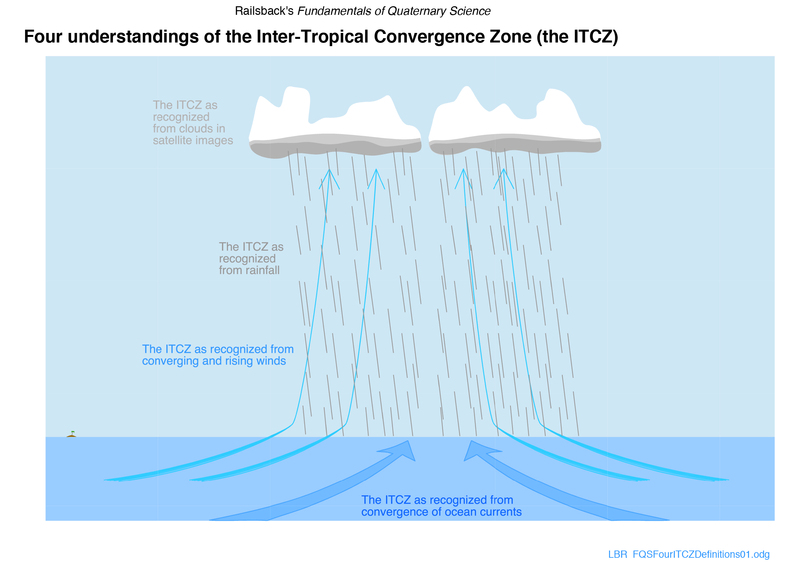 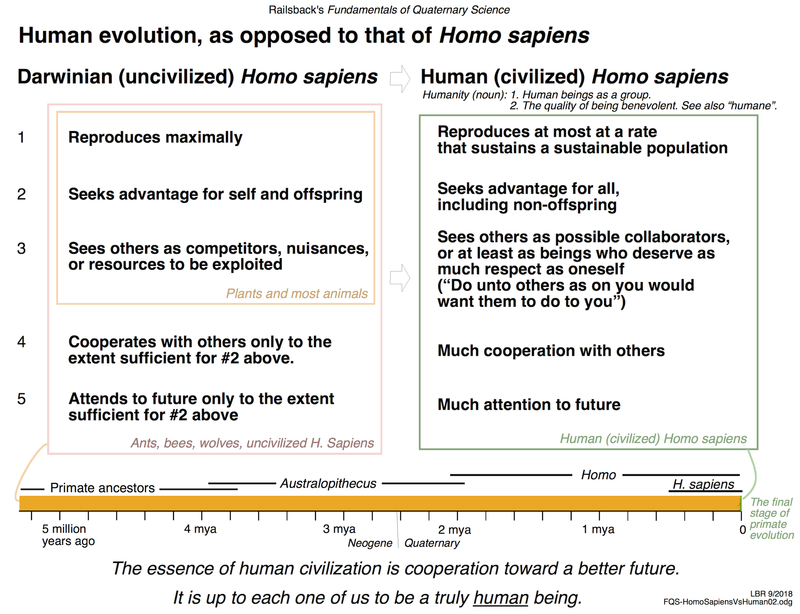 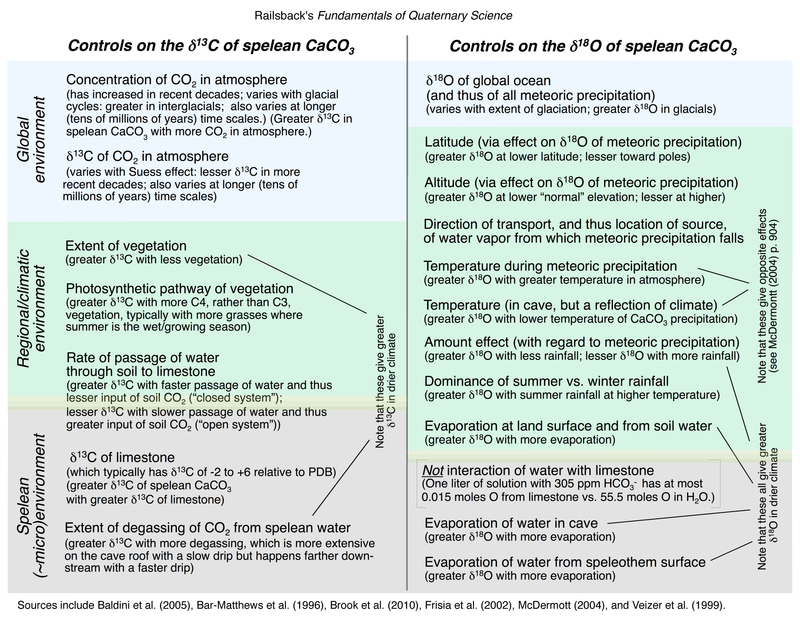 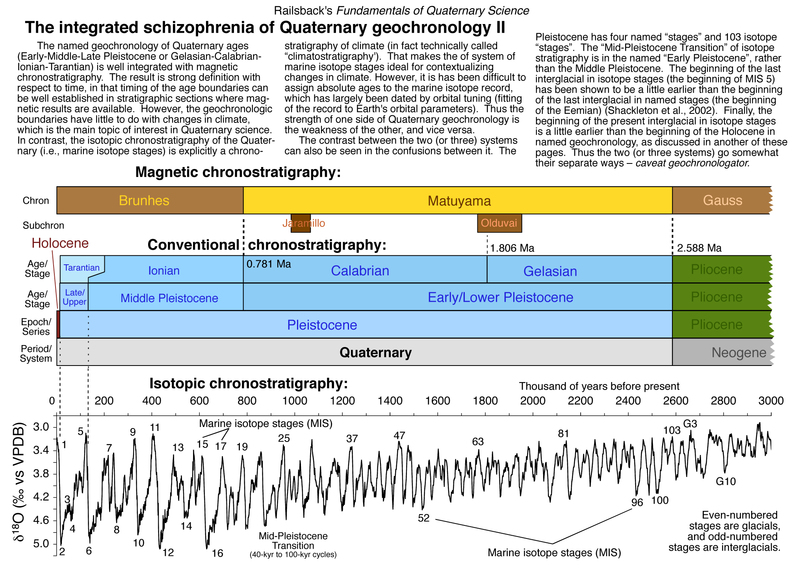 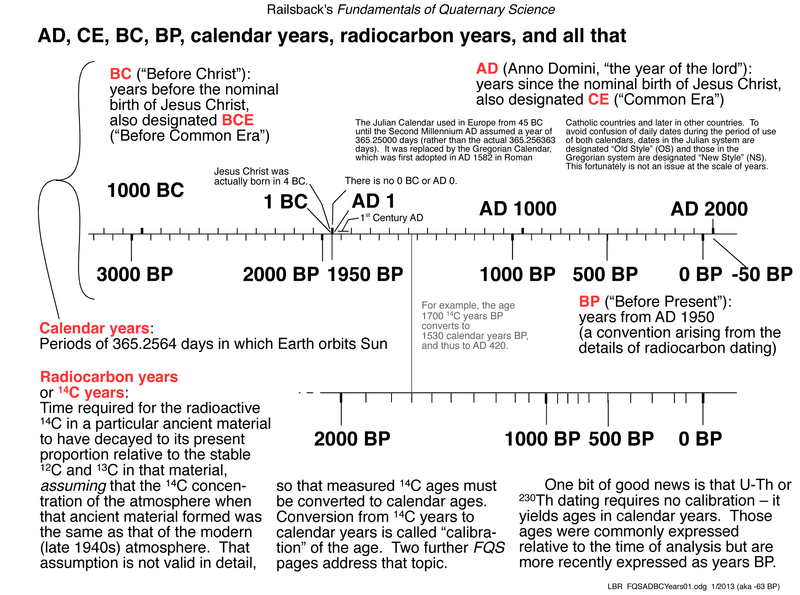 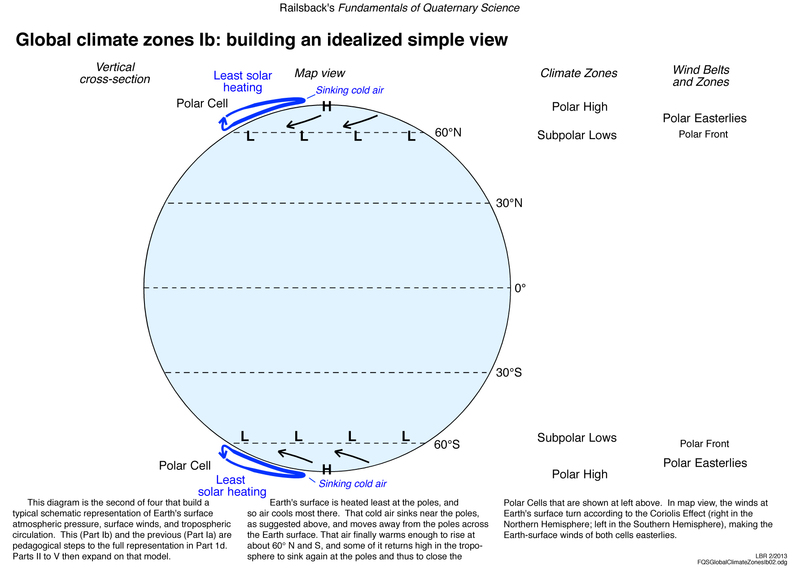 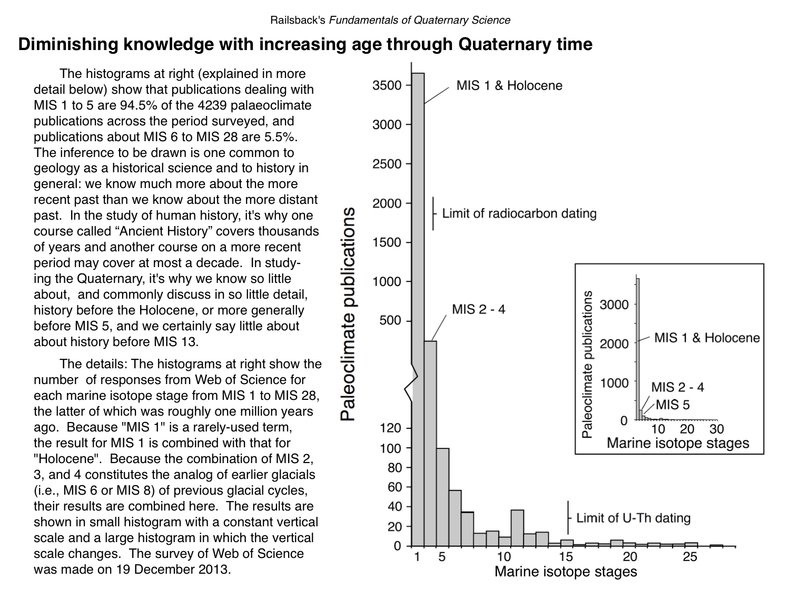 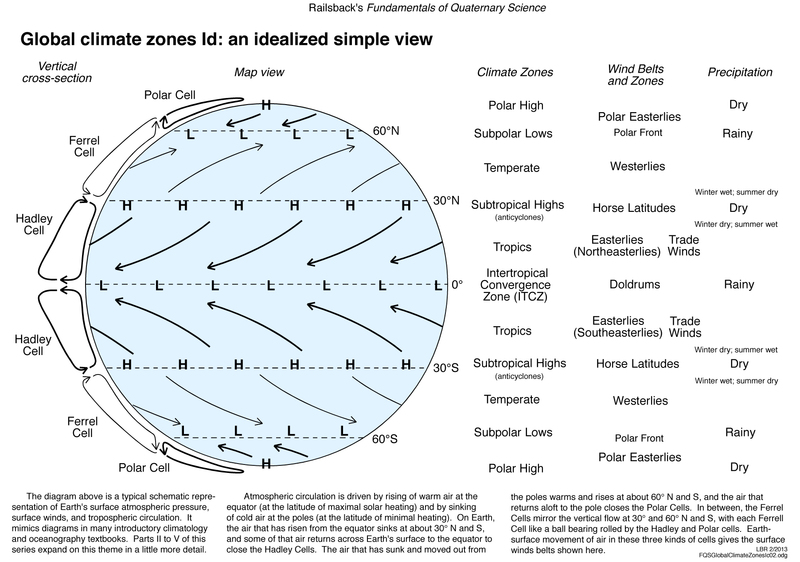 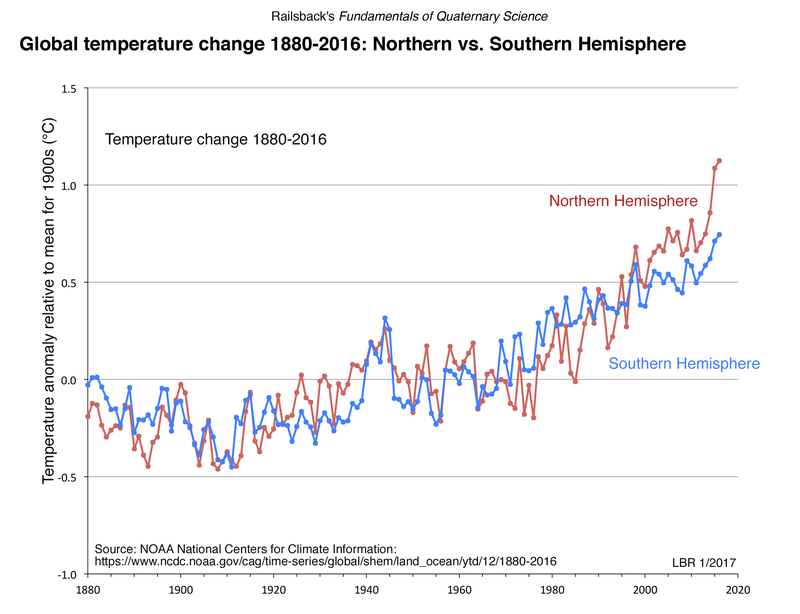 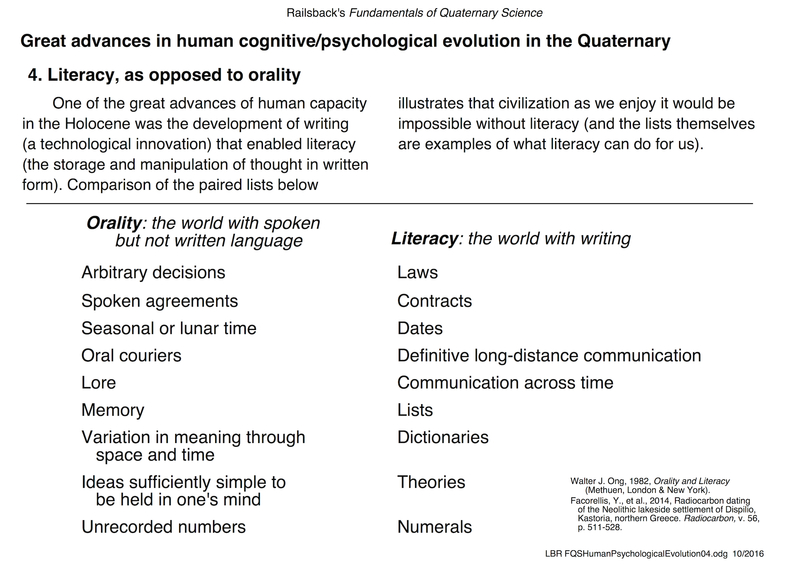 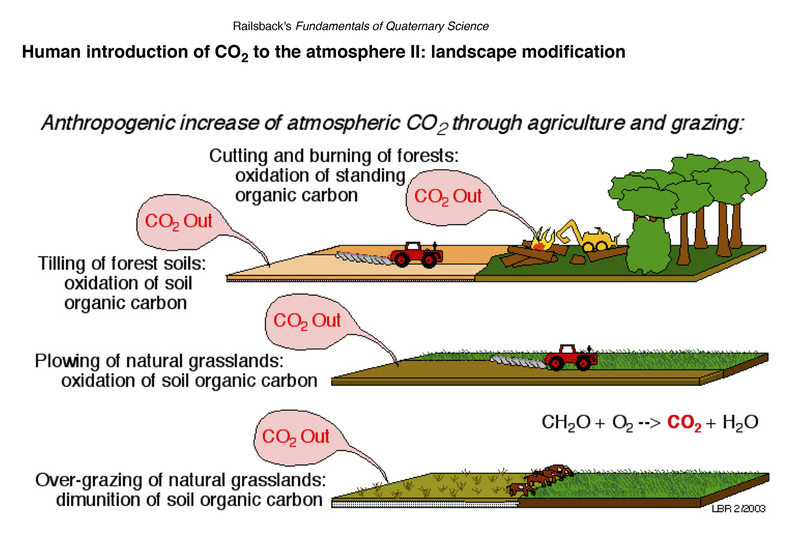 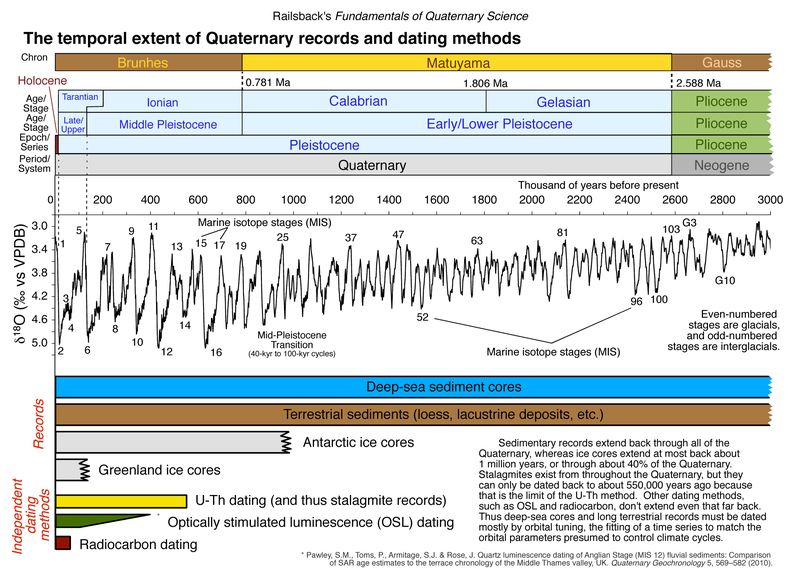 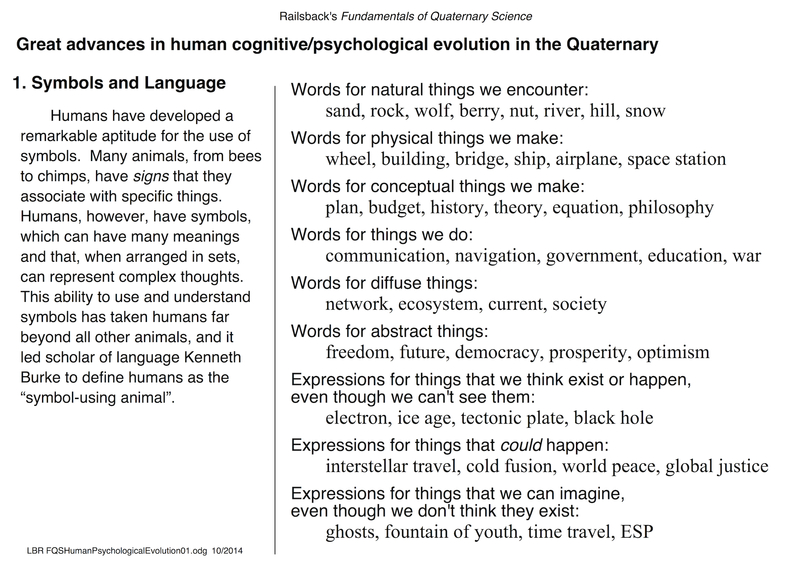 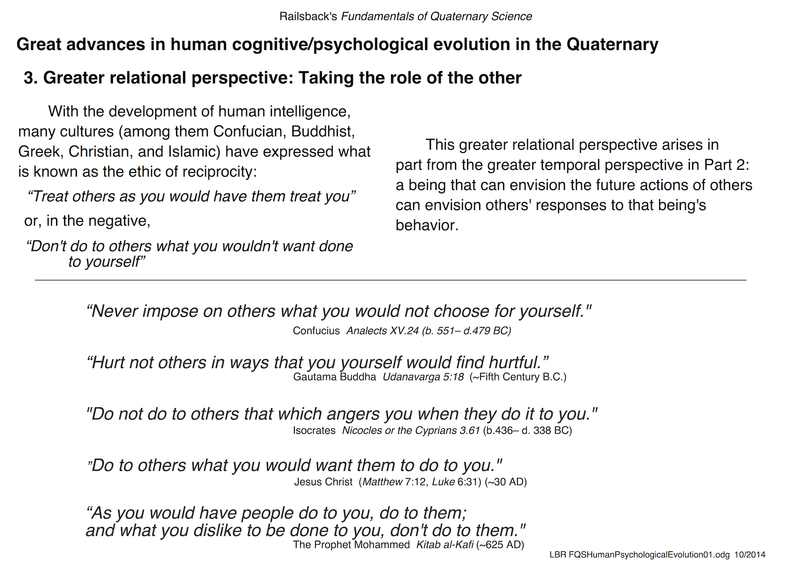 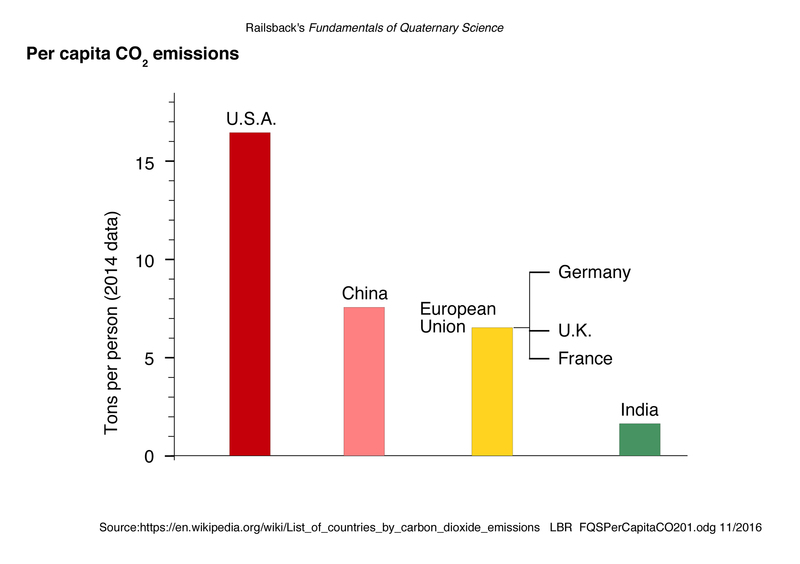 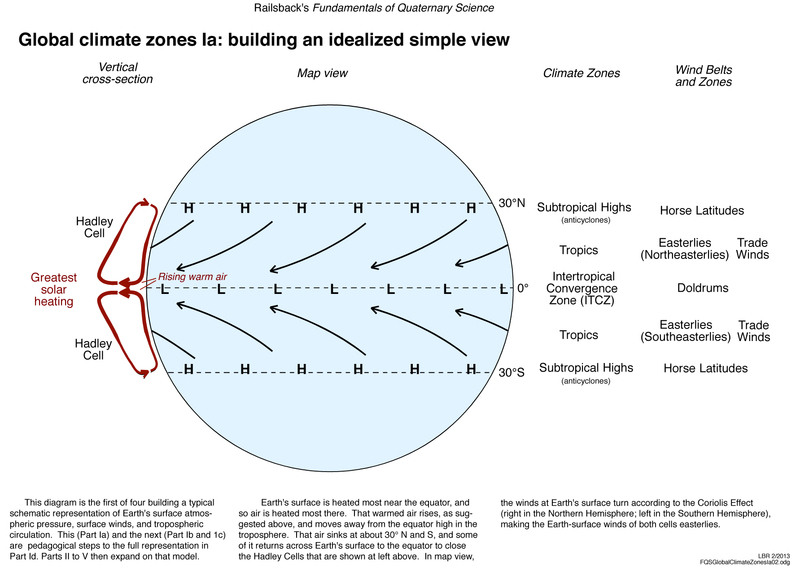 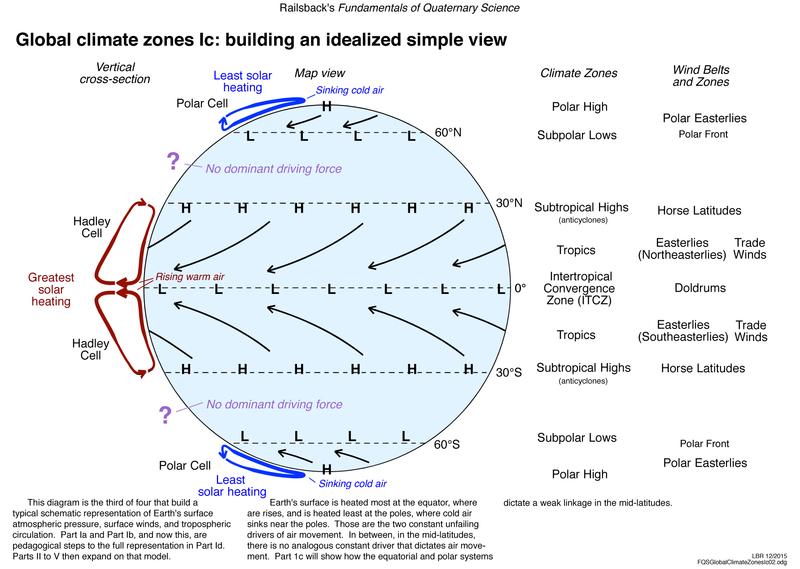 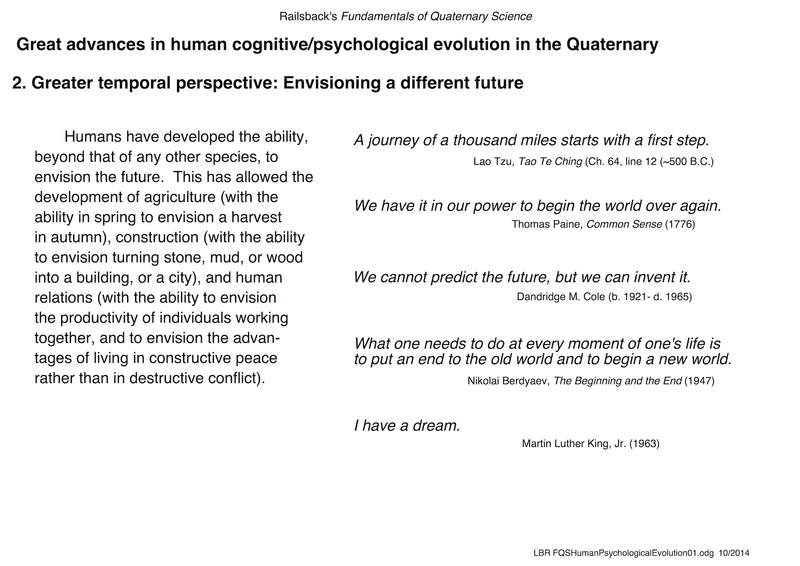 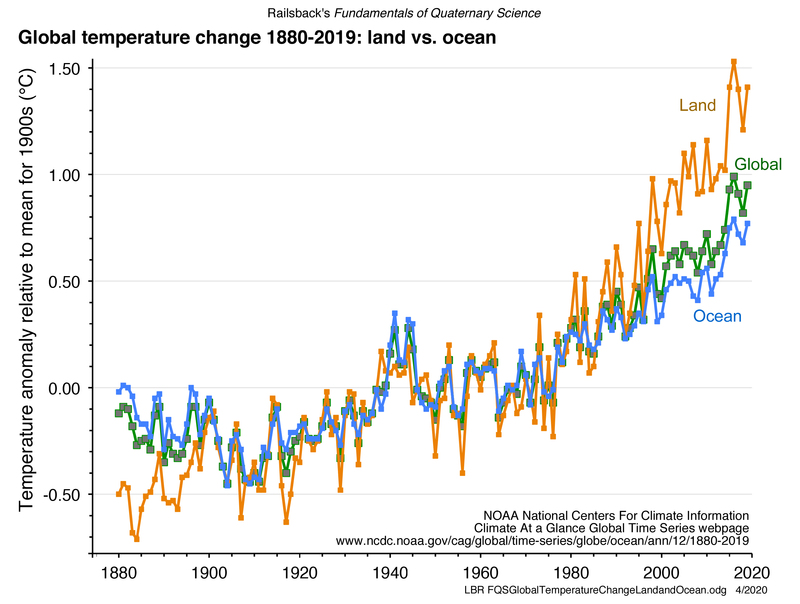 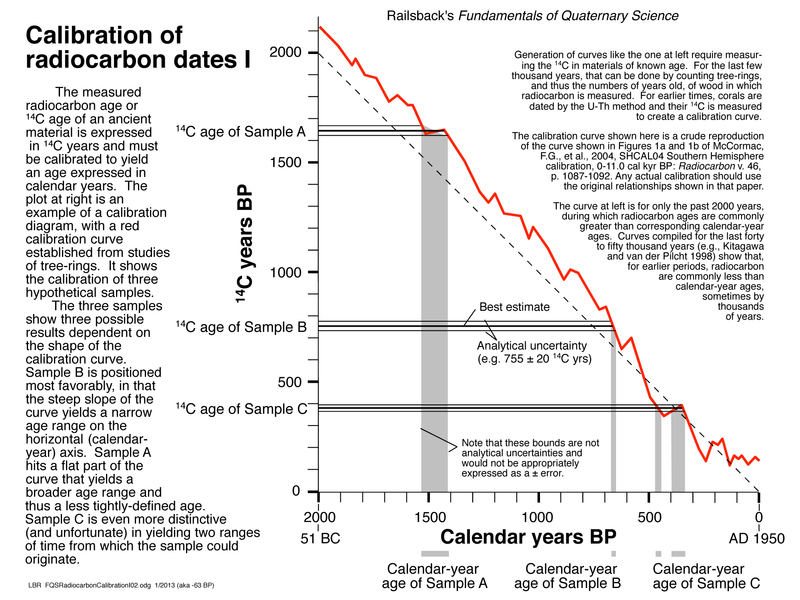 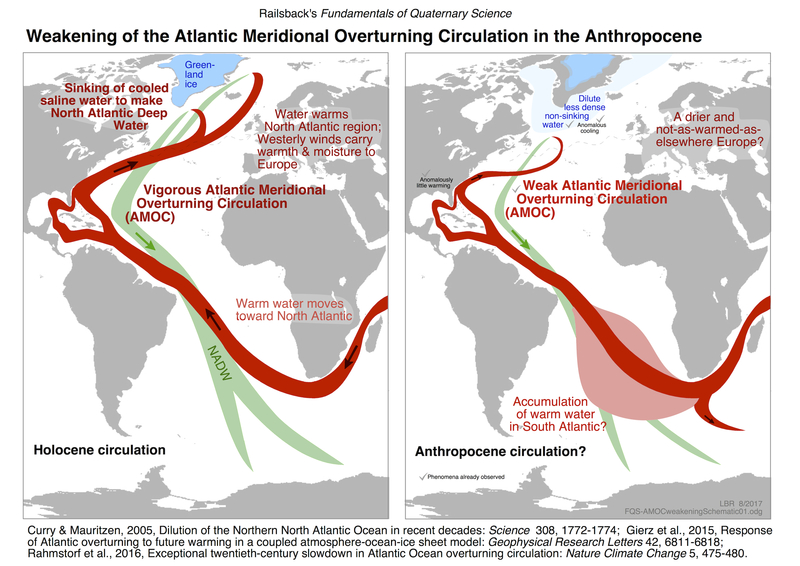 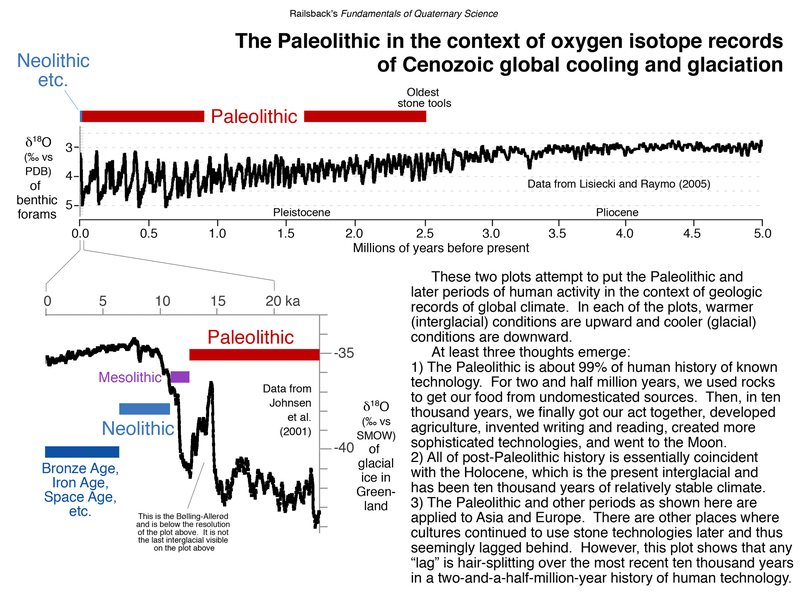 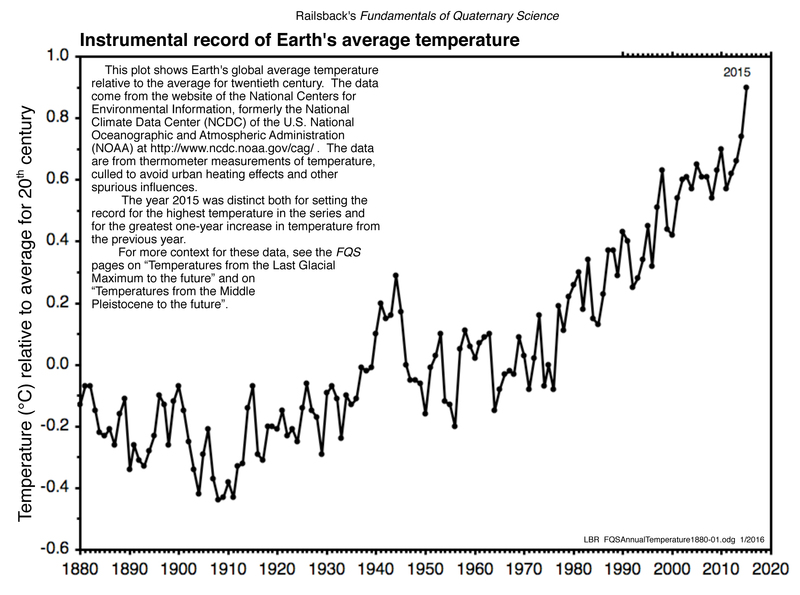 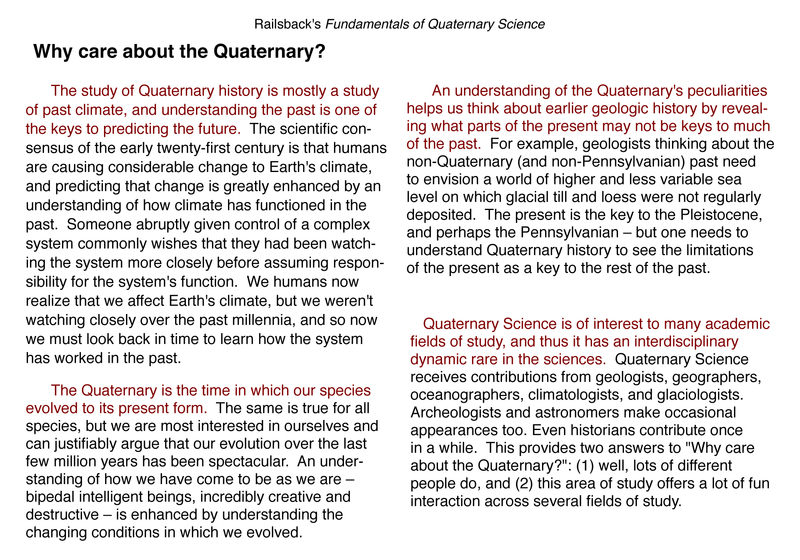 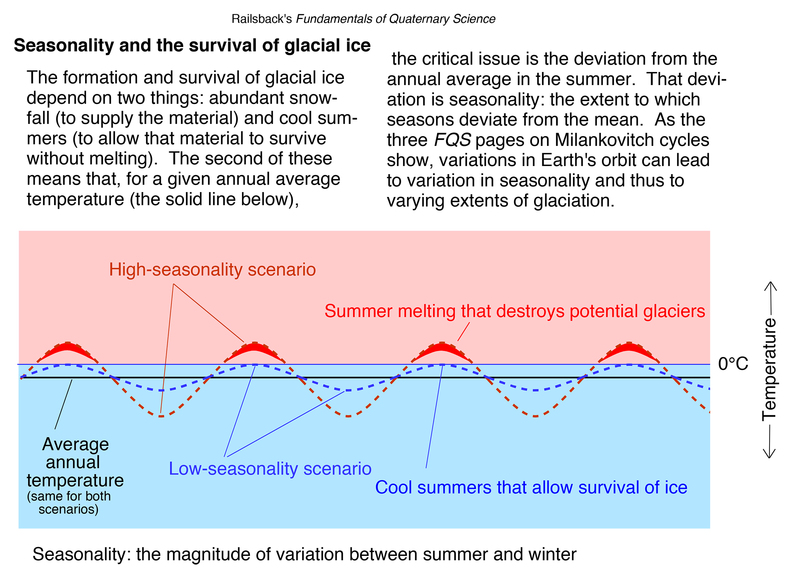 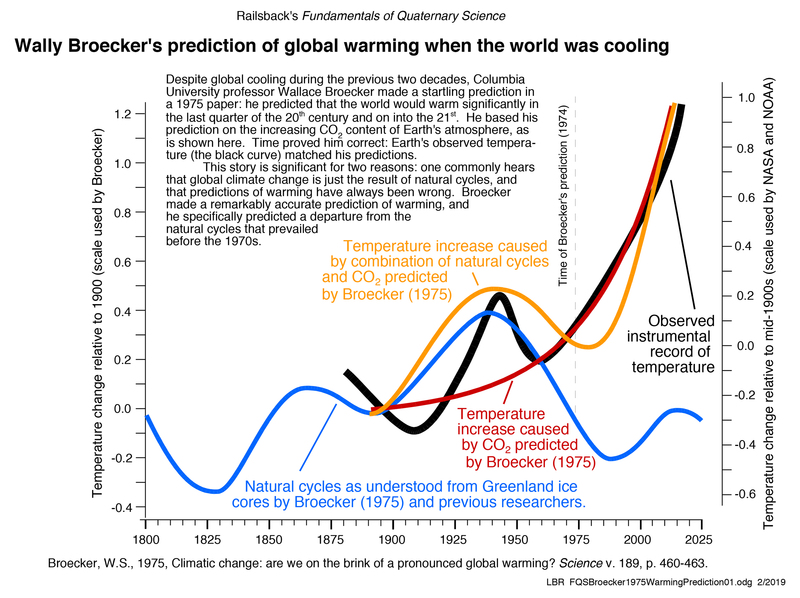 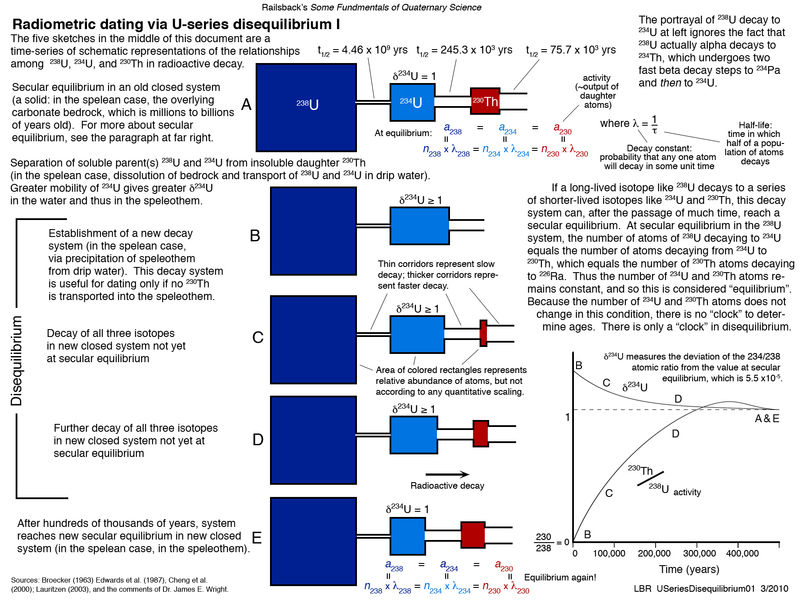 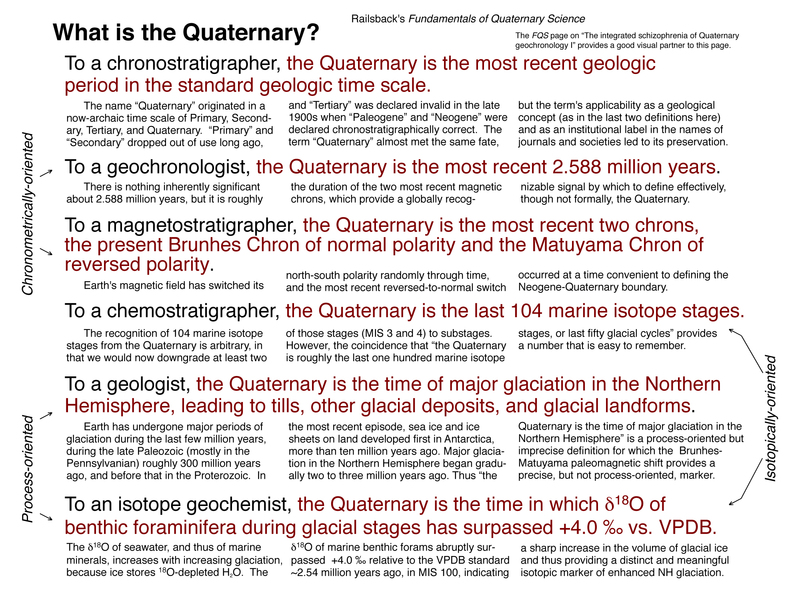 Why care about the Quaternary? 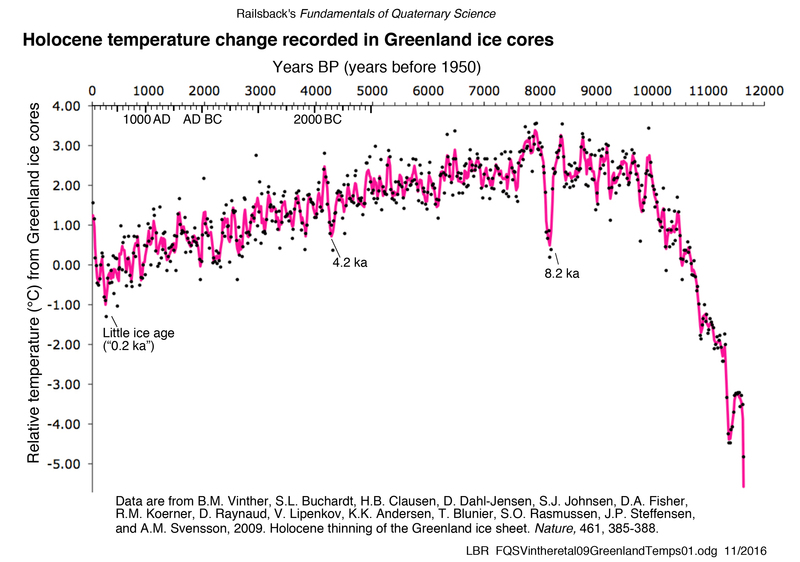 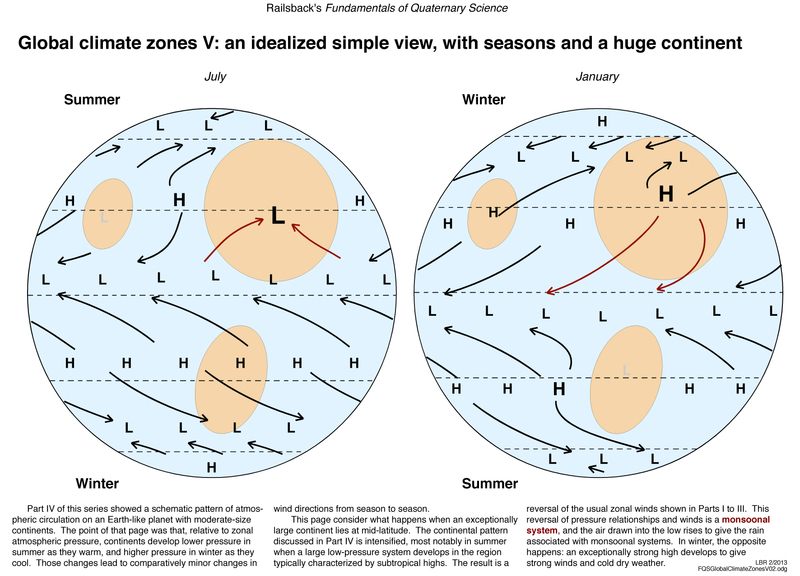 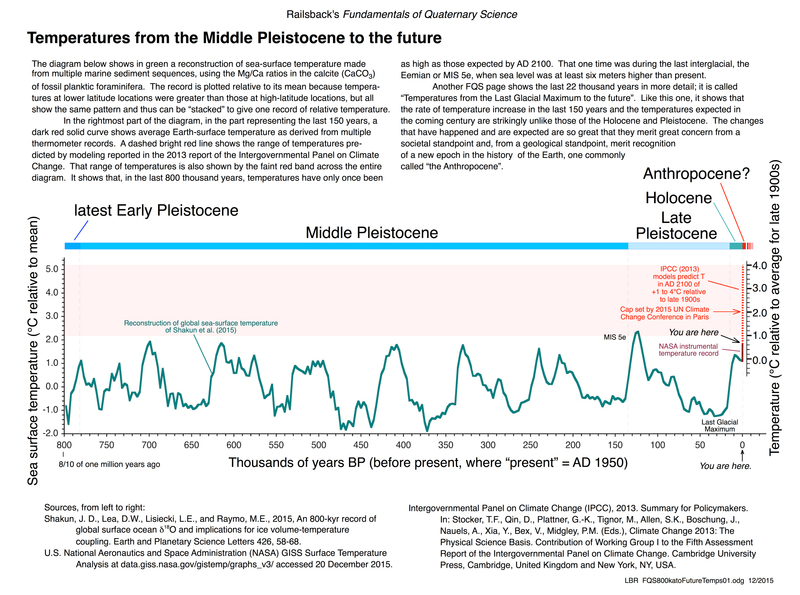 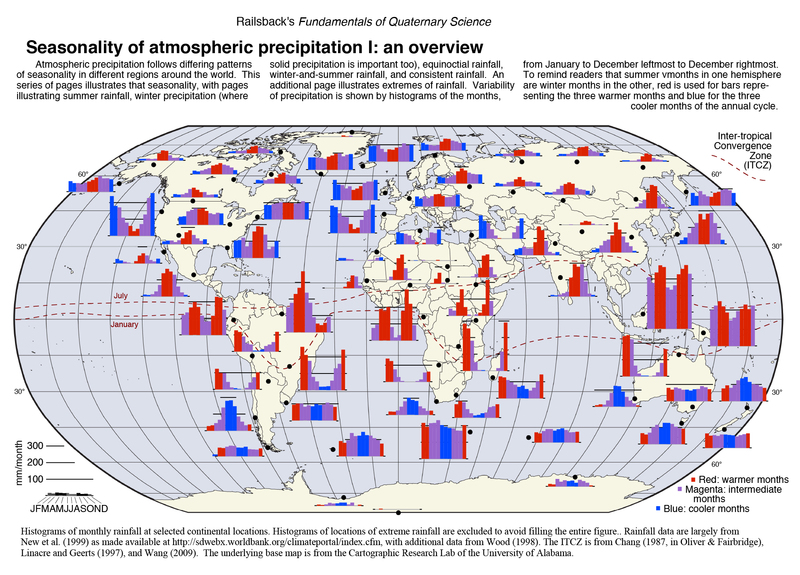 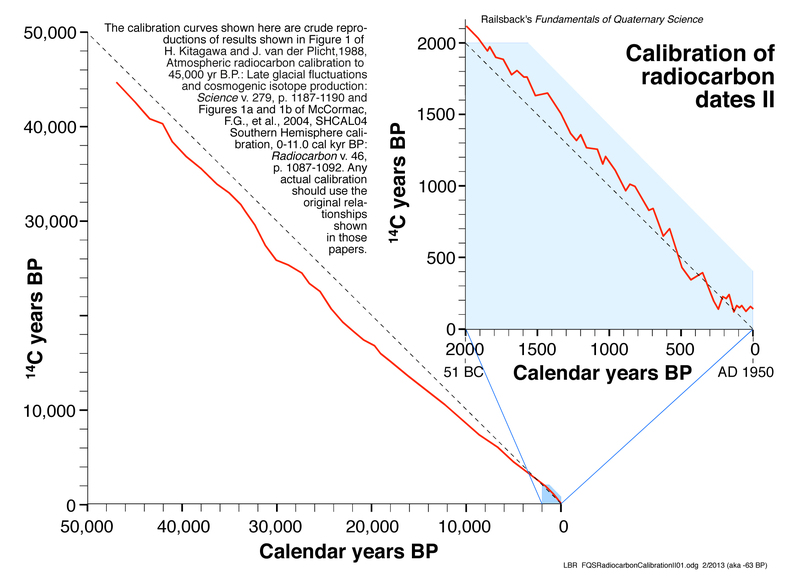 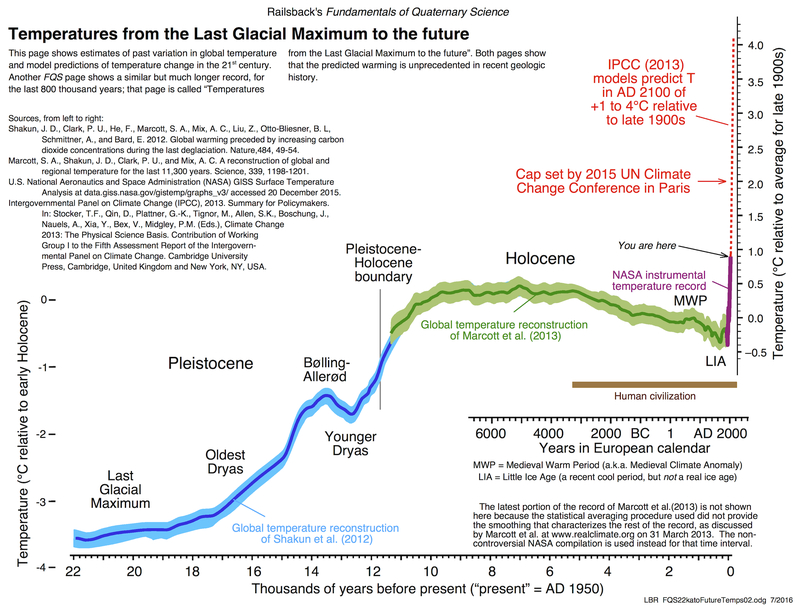 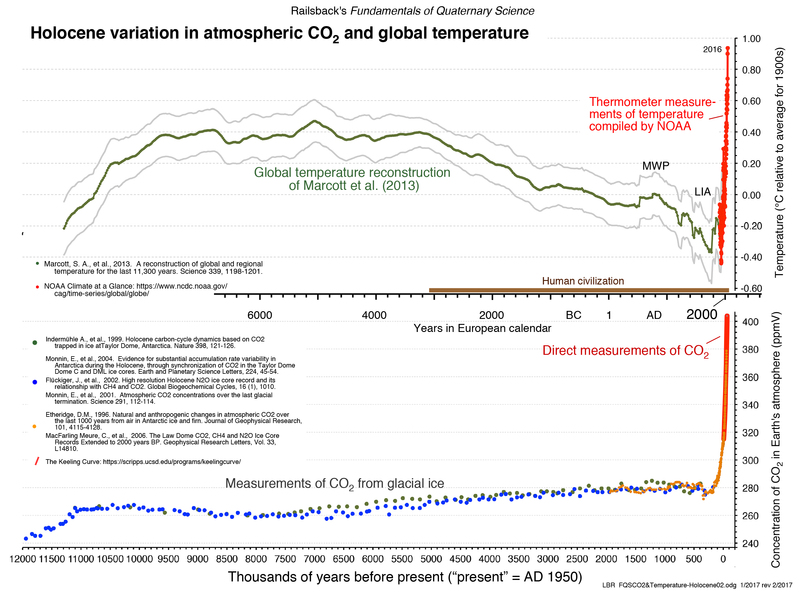 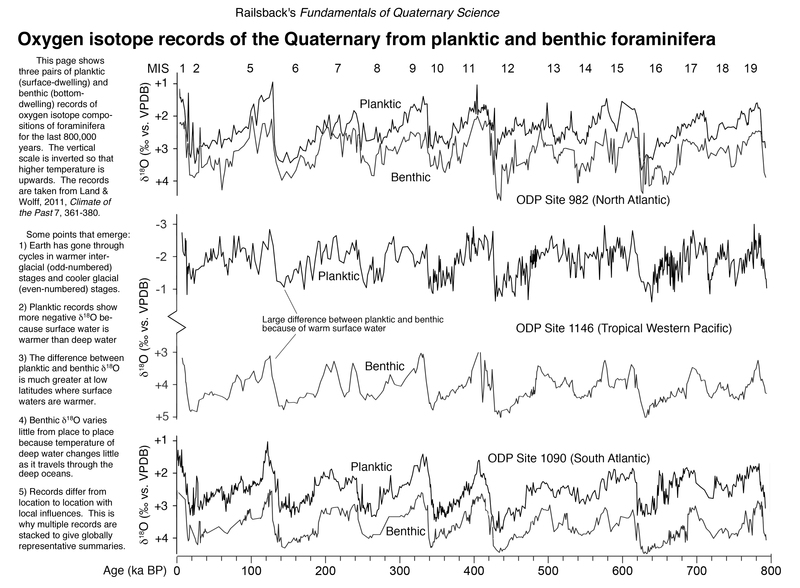 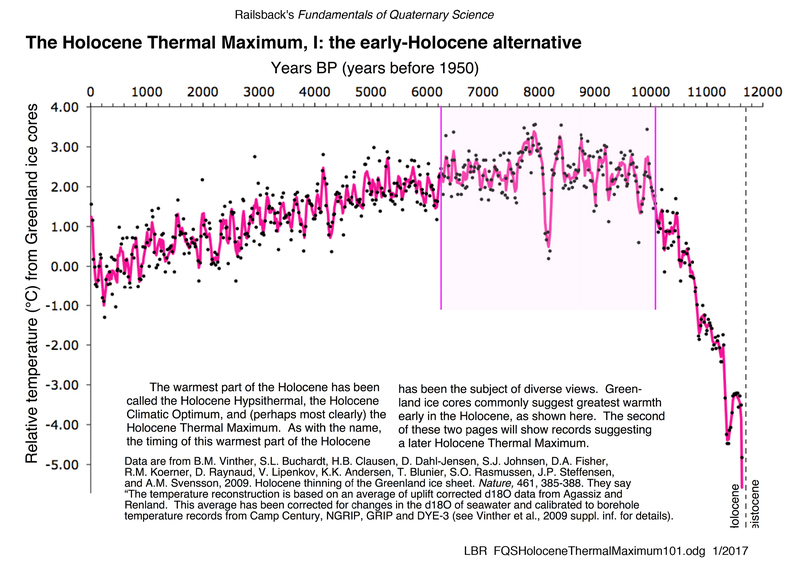 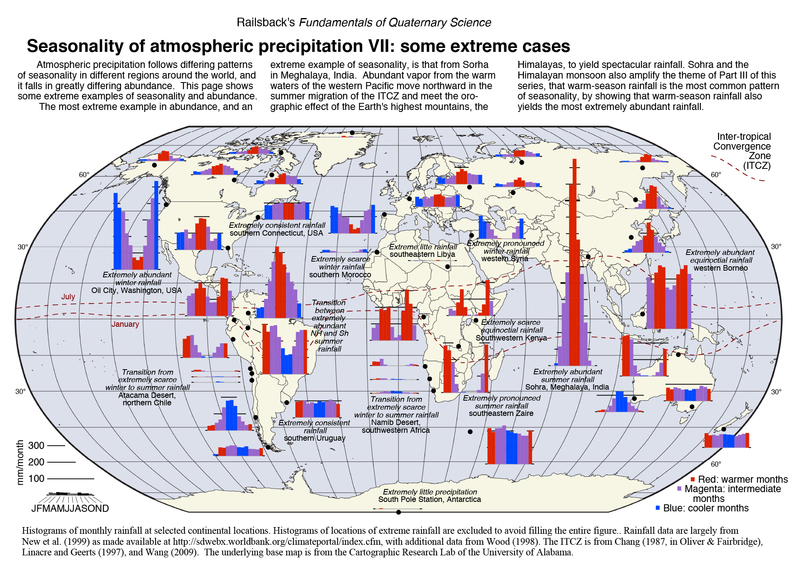 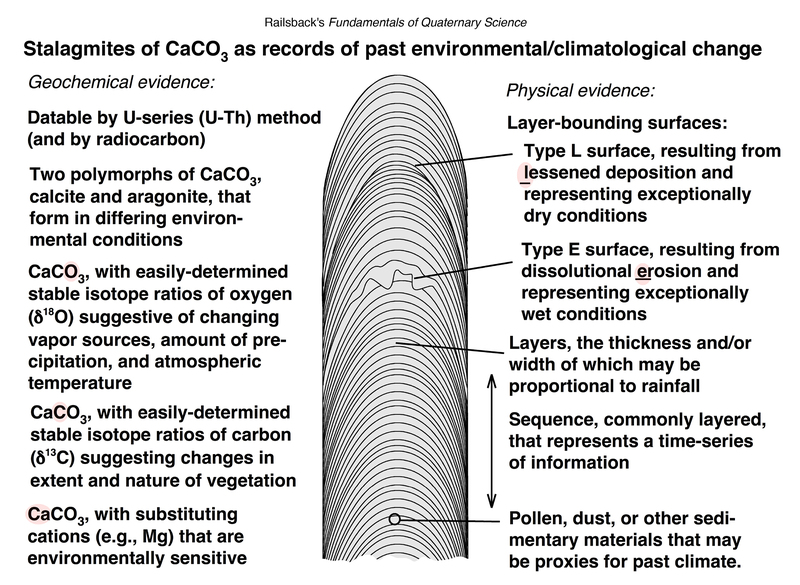 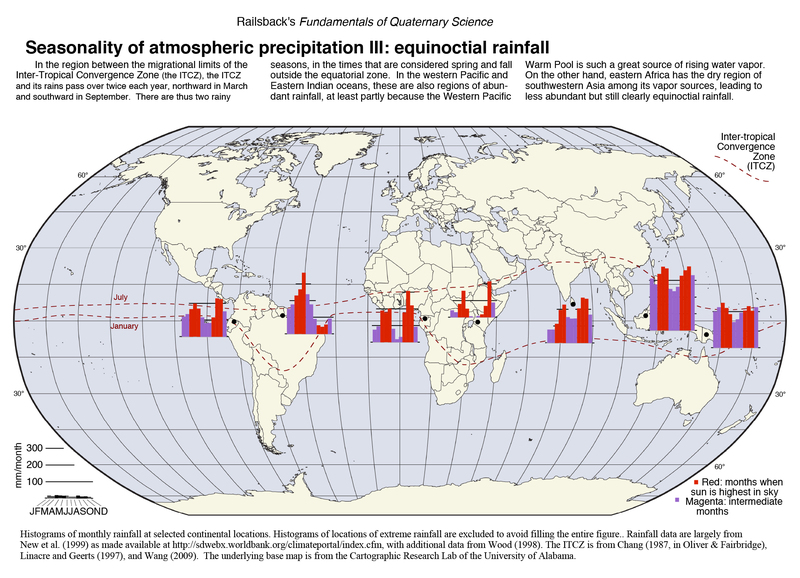 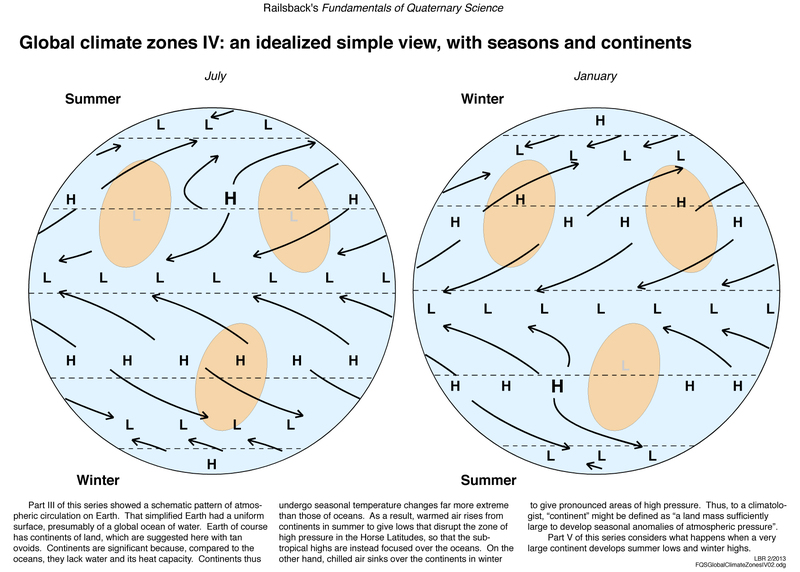 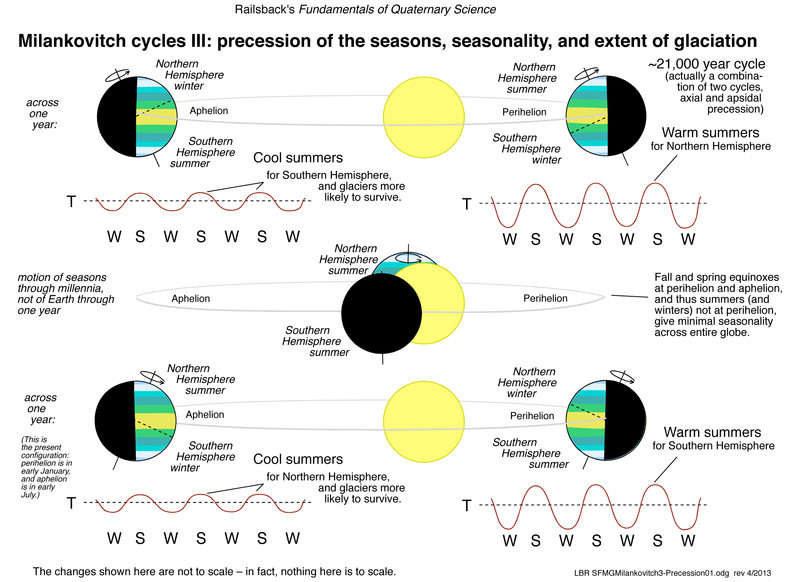 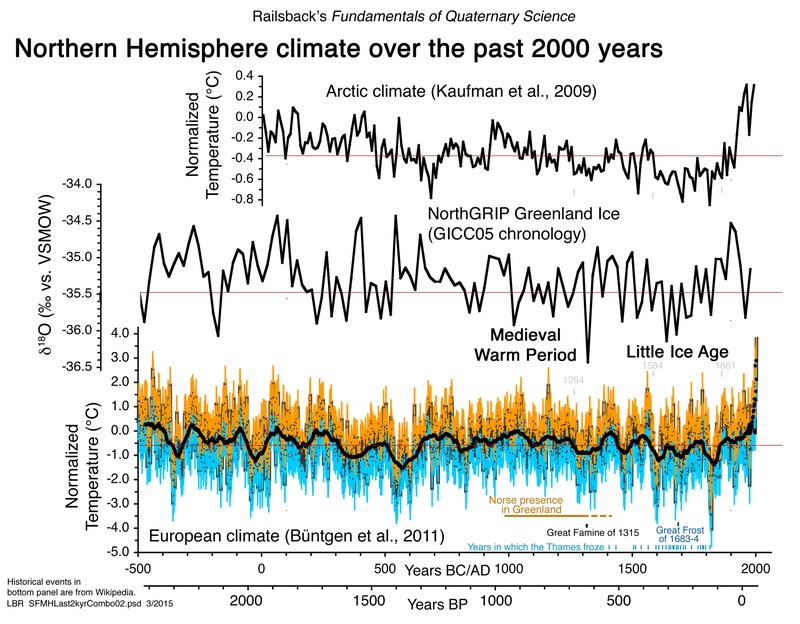 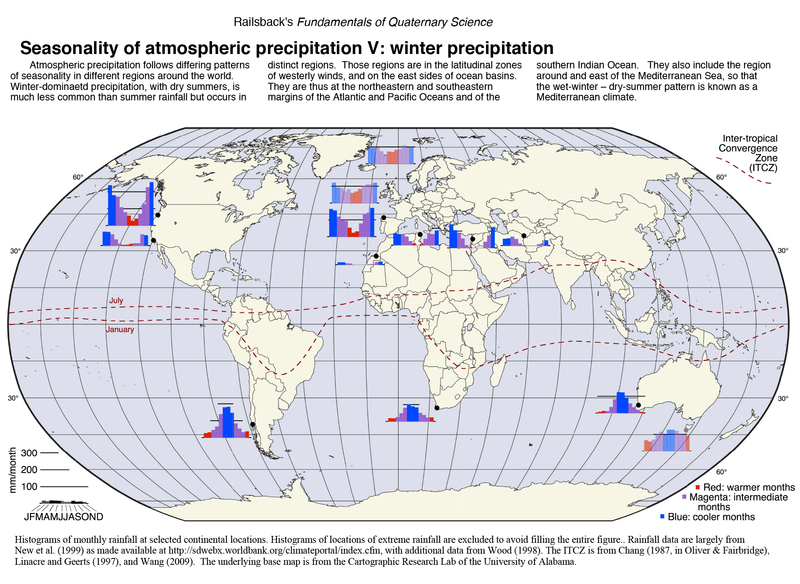 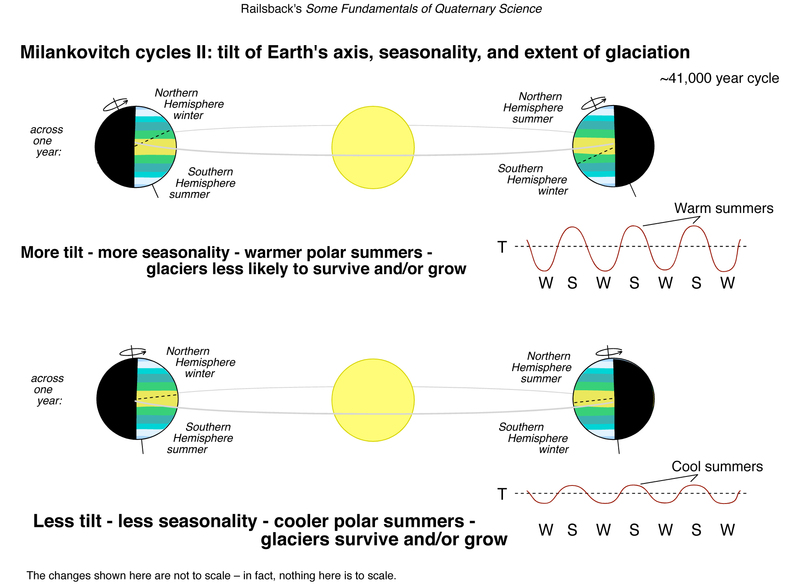 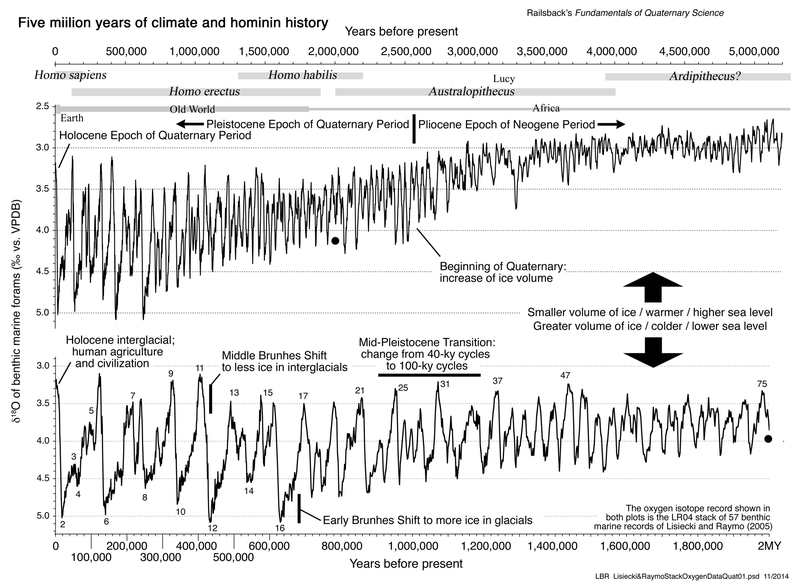 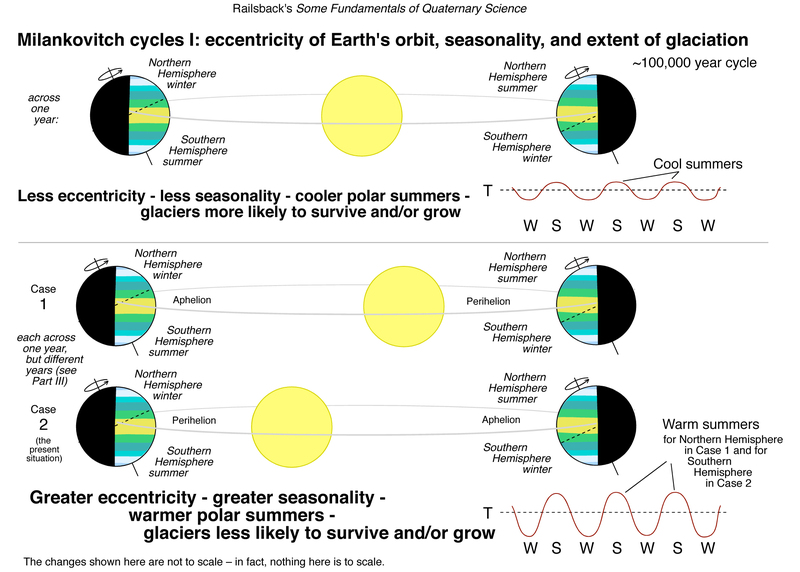 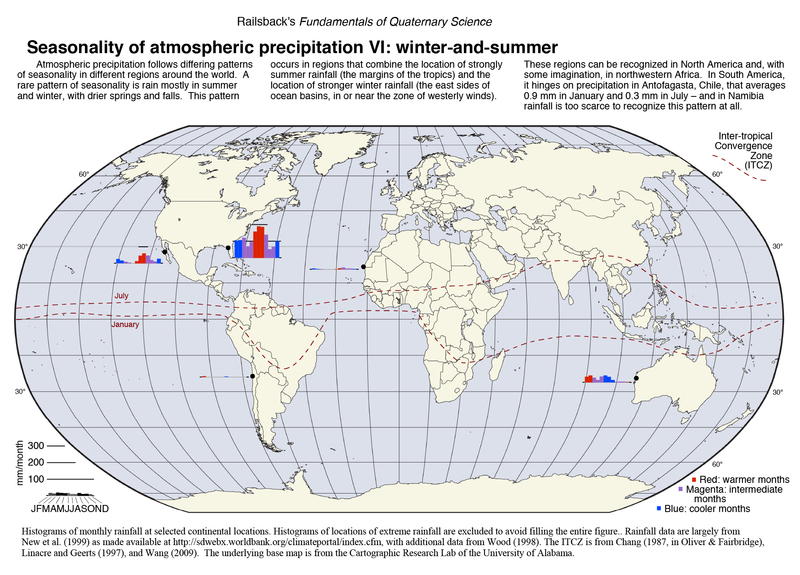 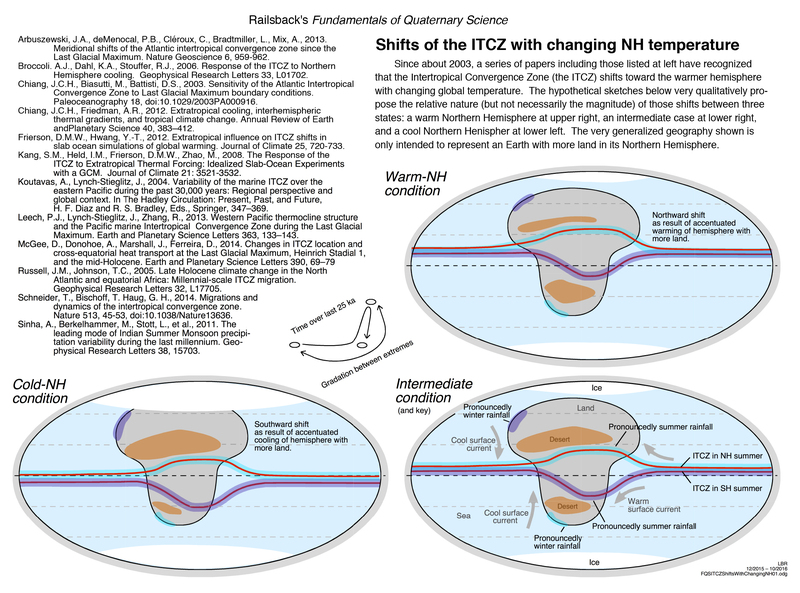 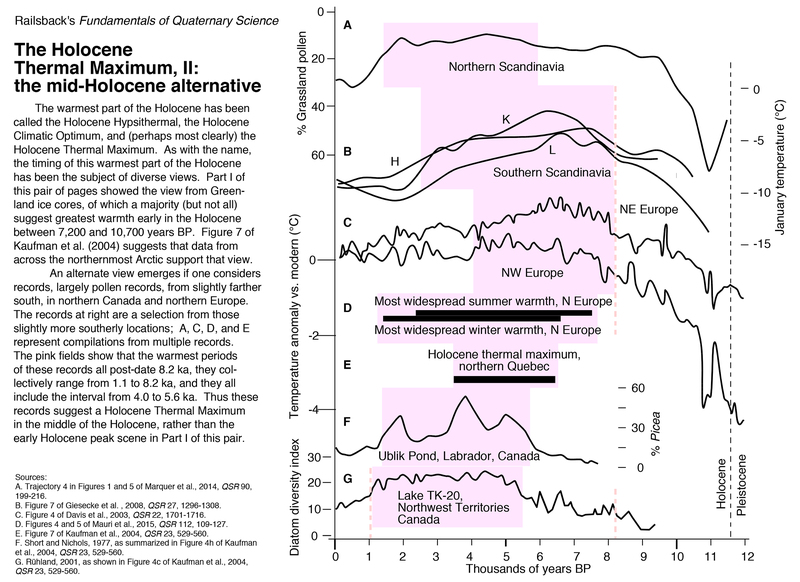 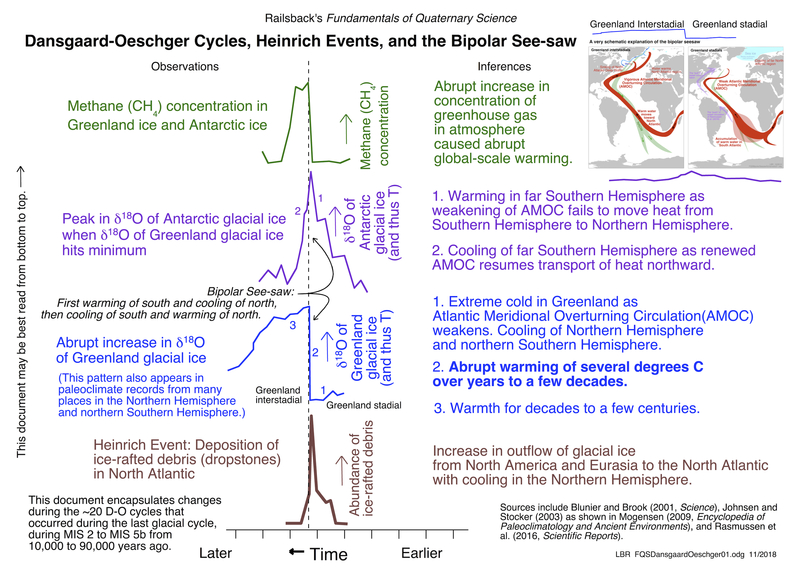 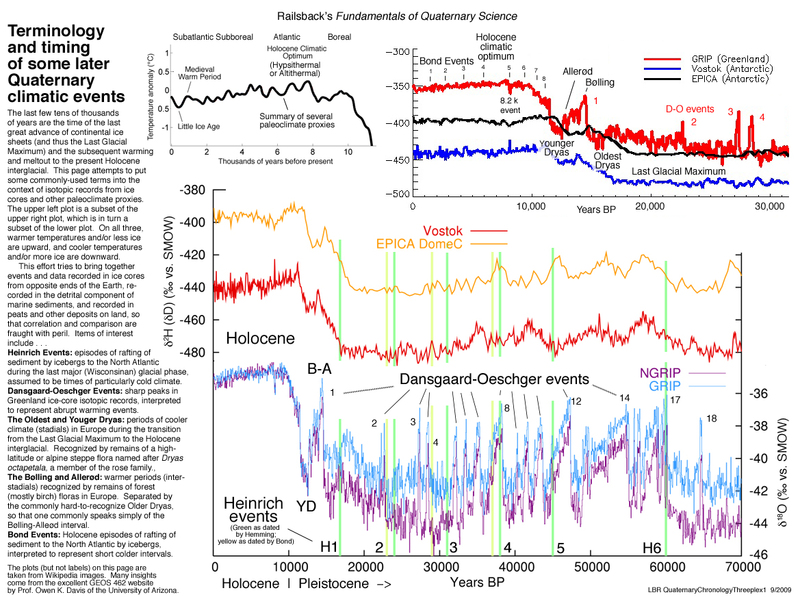 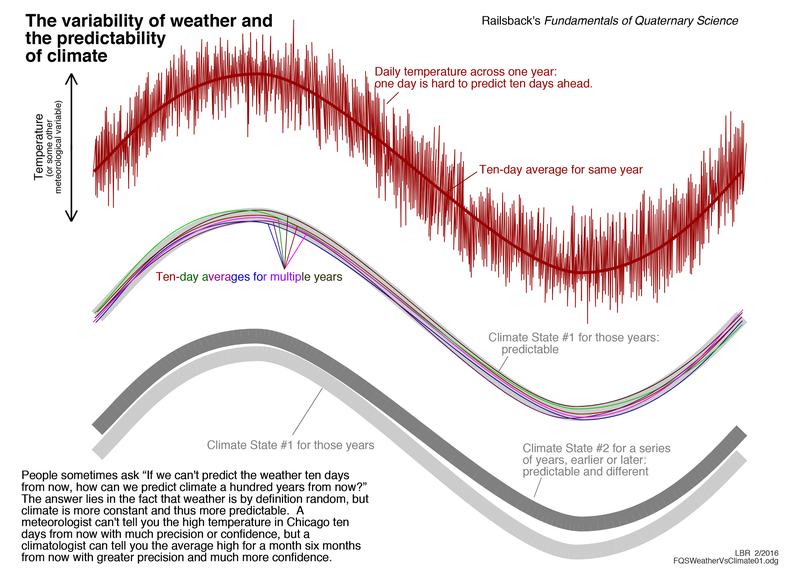 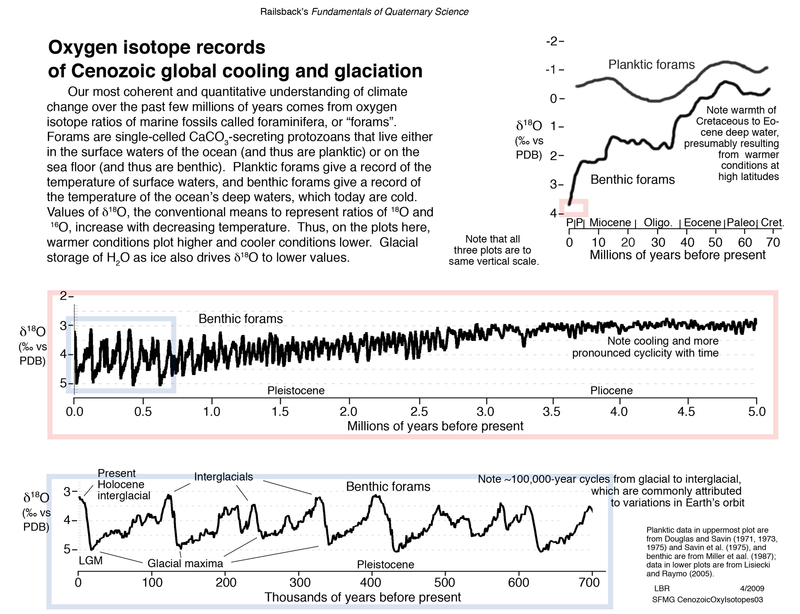 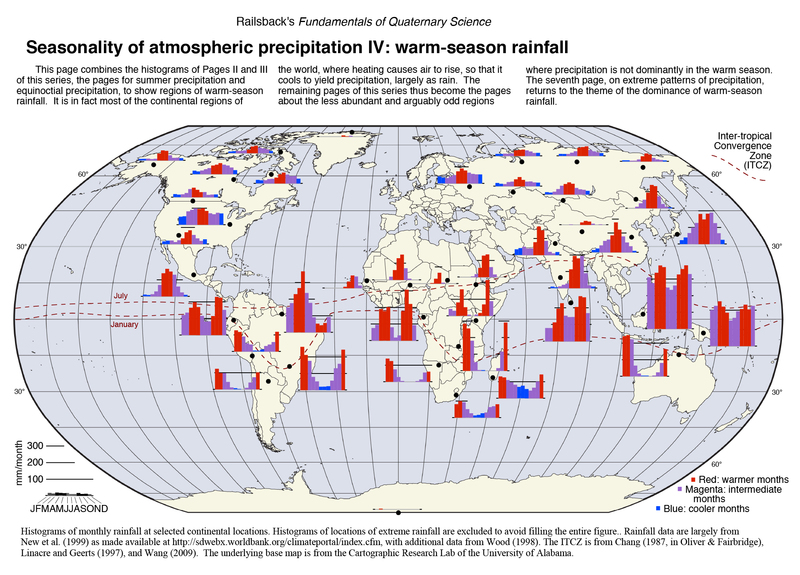 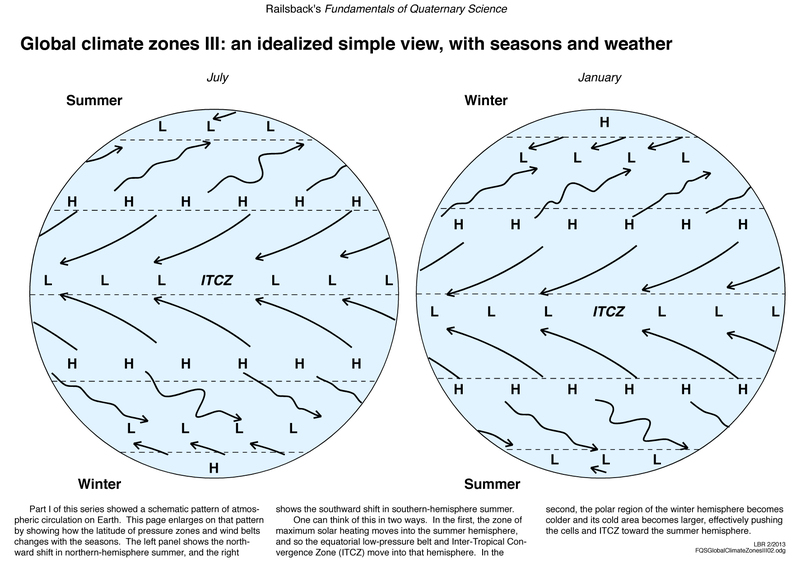 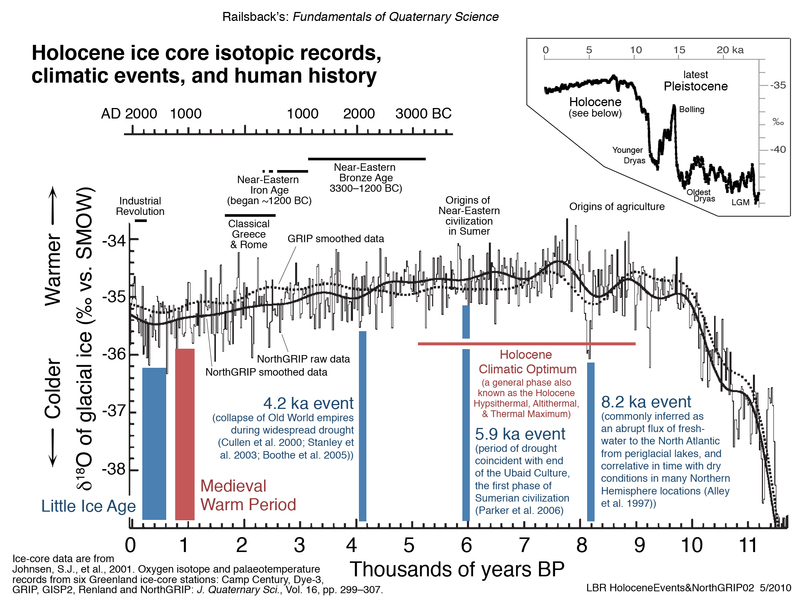 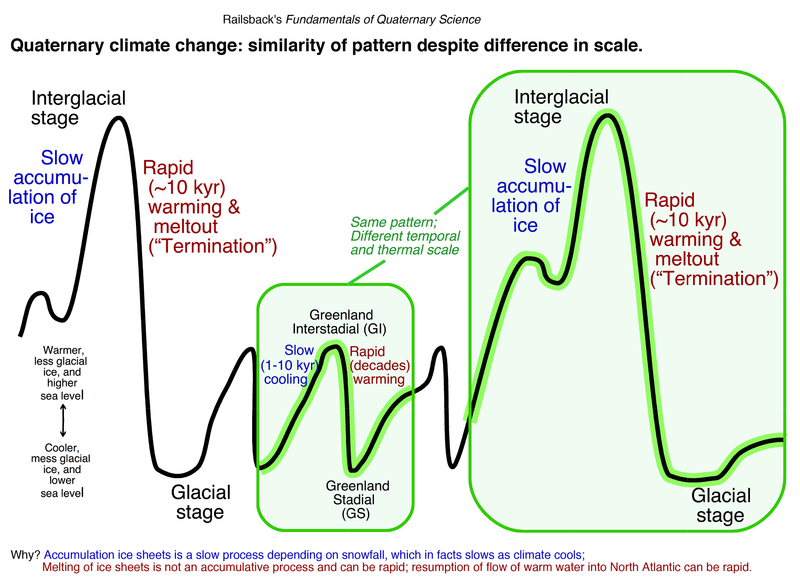 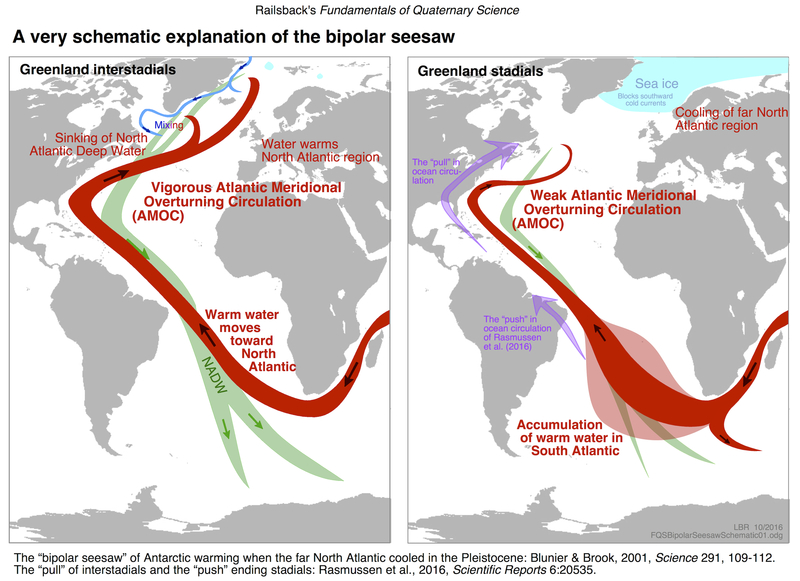 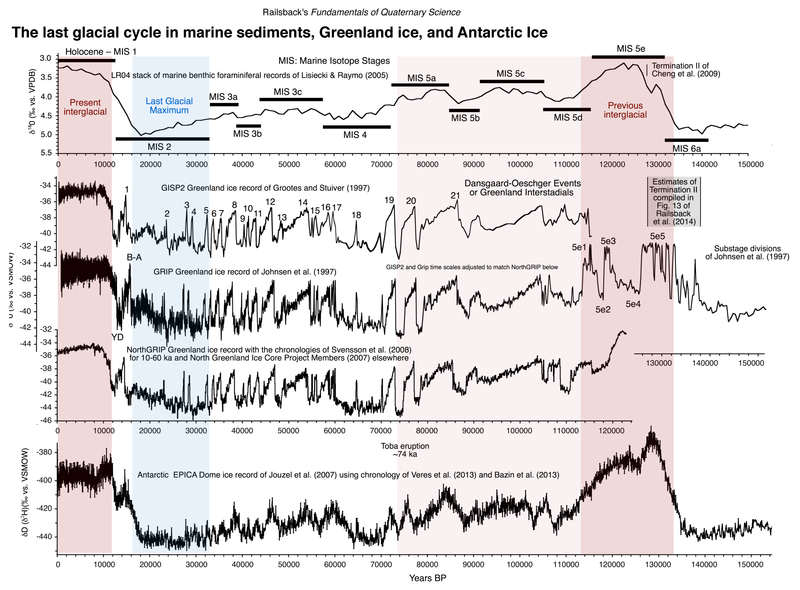 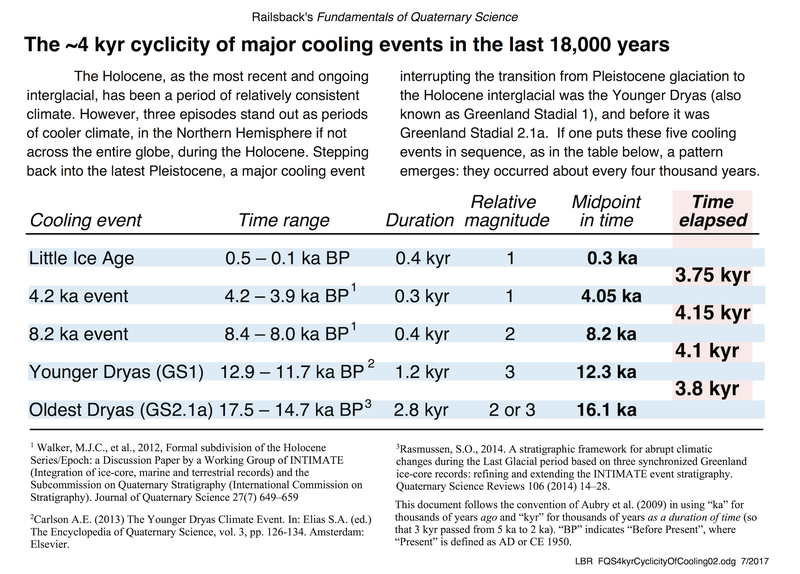 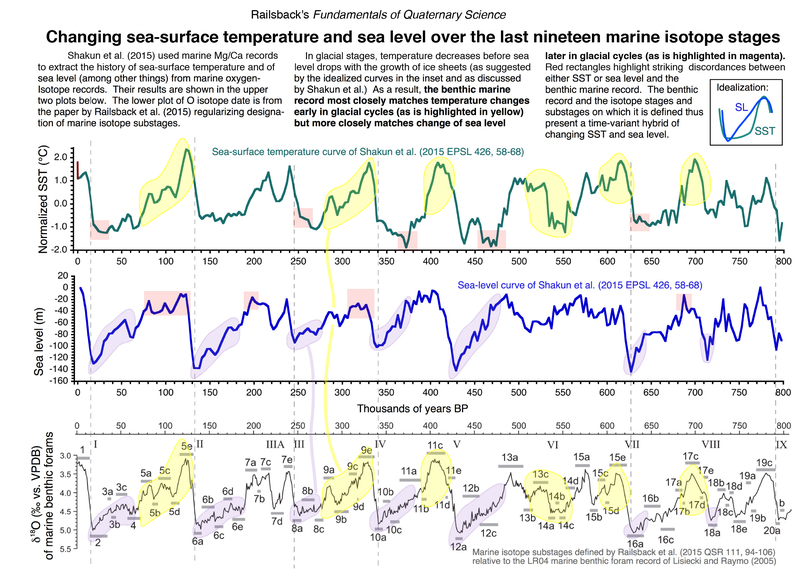 Quaternary climate change: similarity of pattern despite difference in scale.